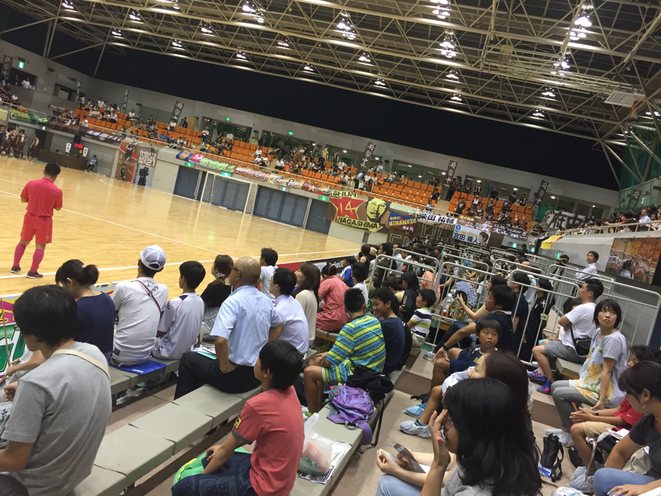 One of the greatest moments in terms of local sport in Western Tokyo Tama area will be coming back again ! Japanese top futsal league (F-League) match between ASV Pescadola Machida and Tokyo Fuchu Athletic F.C. will be held at Machida Municipal Gymnasium in Tokyo Machida City on October 15 2017. 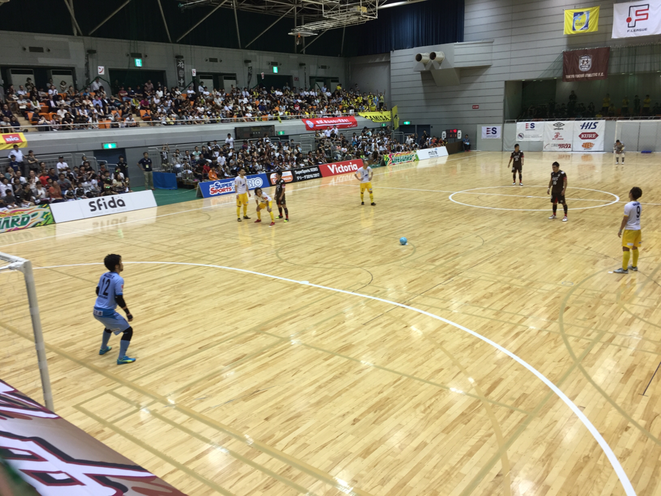 Both Machida City and Fuchu City in Tokyo are the communities of Western Tokyo Tama area so it's called the match between two teams as "The Tokyo Derby" or "The Tama Derby". 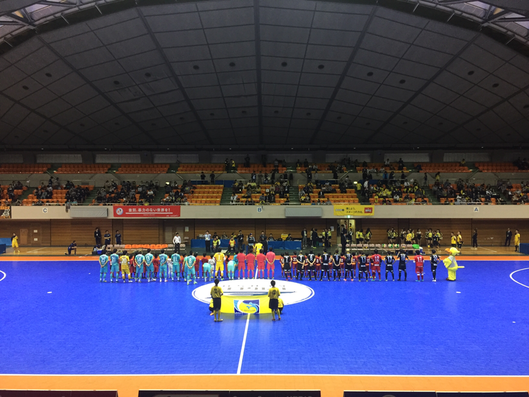 For this season 2017-2018, this match will be the second "Tokyo Tama Derby match" and Machida won the first match in August 2017. The match is always expected the exciting "hot match" ! 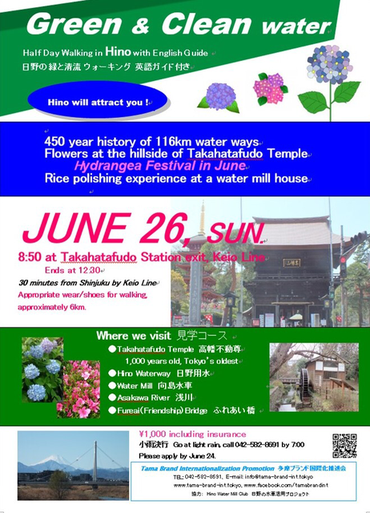 If you would like to discover the local attraction in Western Tokyo Tama area, let's enjoy this match with both exciting supporters as one of local unique attractions in Western Tokyo "Tama" area ! 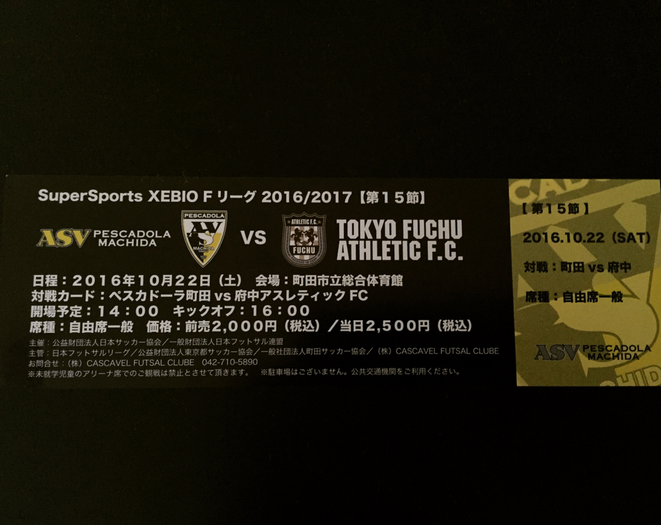 Away team : Tokyo Fuchu Athletic F.C. One of the greatest moments in terms of local sport in Western Tokyo Tama area will be coming soon again in 2017 ! 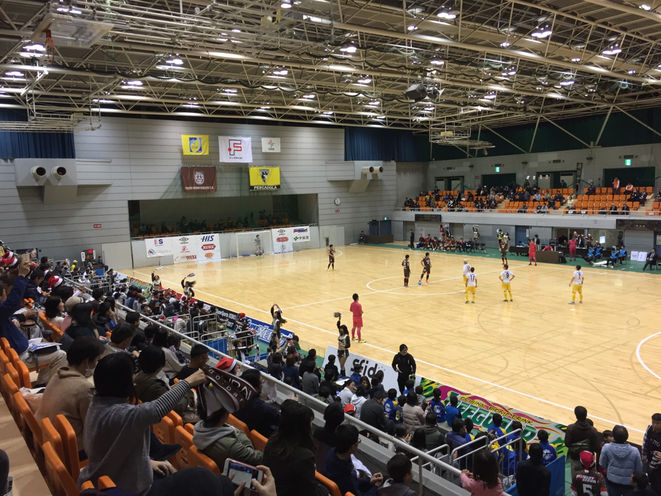 Japanese top futsal league (F-League) match between ASV Pescadola Machida and Tokyo Fuchu Athletic F.C. 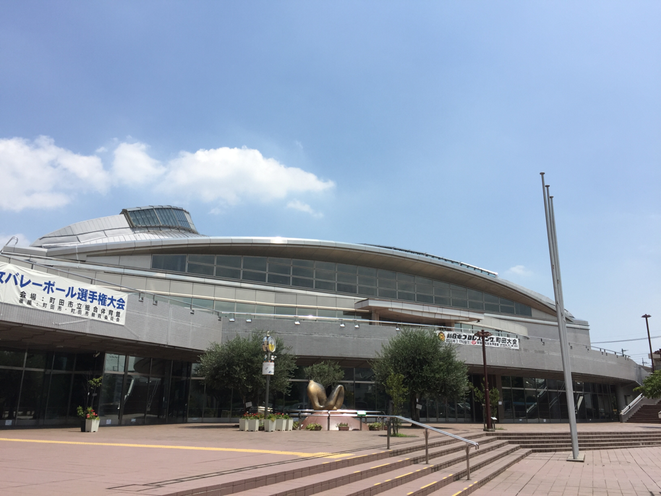 will be held at Machida Municipal Gymnasium in Tokyo Machida City on August 6 2017. For this season 2017-2018, this match will be the first "Tokyo Tama Derby match", so the match is expected the exciting "hot match" surely ! If you would like to discover the local attraction in Western Tokyo Tama area, let's enjoy this match with both exciting supporters as one of Summer attractions in Western Tokyo "Tama" area ! 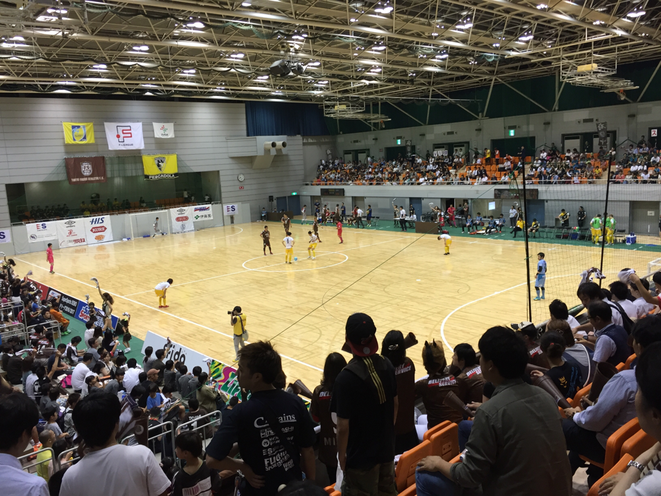 The "Tokyo Tama Derby match" of Japan Futsal League (F-League) between Tokyo Fuchu Atheletic F.C. (F-League 5th place) and ASV Pescadola Machida (F-League 4th place) was held at Tokyo Fuchu city on the 24th December 2016 ! By the middle day of 3 days holiday in Japan and Christmas Eve's match, it was a little hard to welcome the spectators however the game was so exciting with 954 spectators! As the result of this hot match, Fuchu defeat Machida by 5-3 score with the advantage of home team and Fuchu supporters were so happy to have received the Christmas Gift of the victory against the local rival team in Western Tokyo Tama area ! 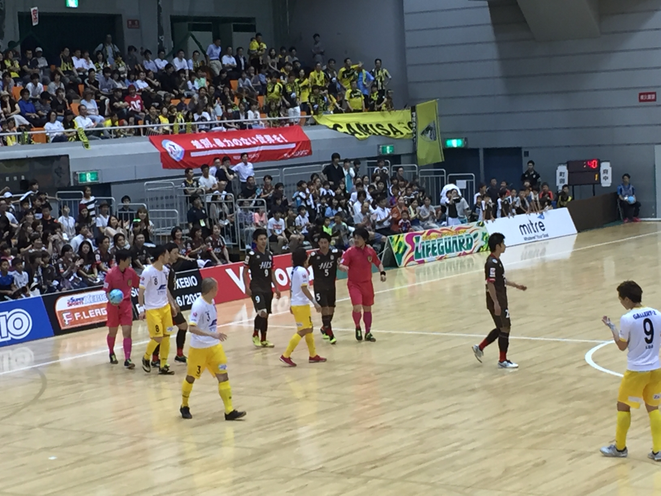 The scoreline of Fuchu toward Machida is dominant by 2 wins and 1 loss for this 2016-2017 season. The derby match of Futsal F-league has been finished for this season, however it would be continued for the next year onward and let's enjoy the exciting games when you have a chance to visit ! 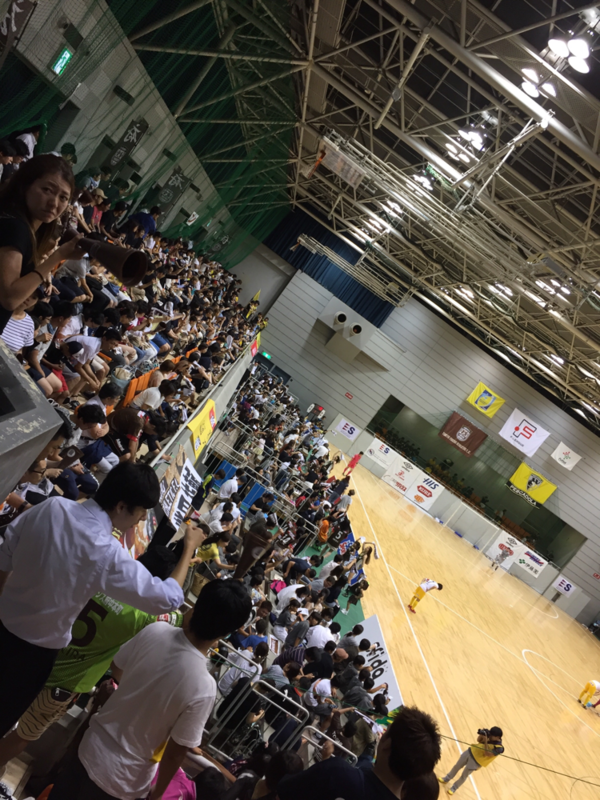 One of the greatest moments in terms of local sport in Western Tokyo Tama area will be coming soon again ! Japanese top futsal league (F-League) match between ASV Pescadola Machida and iTokyo Fuchu Athletic F.C. 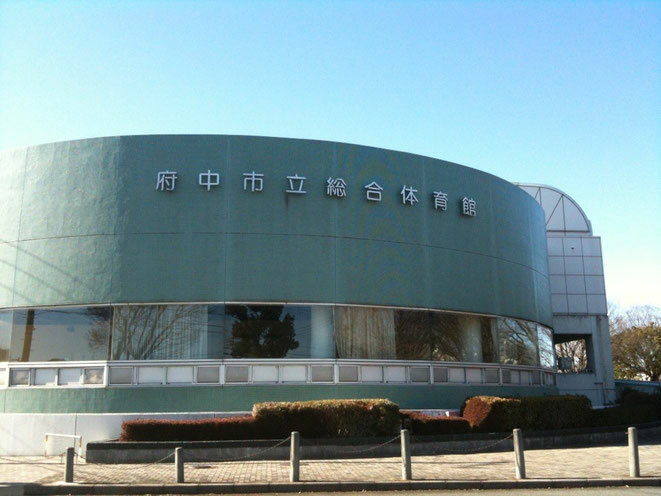 will be held at Fuchu municipal gymnasium in Tokyo Fuchu city on the 24th December 2016. 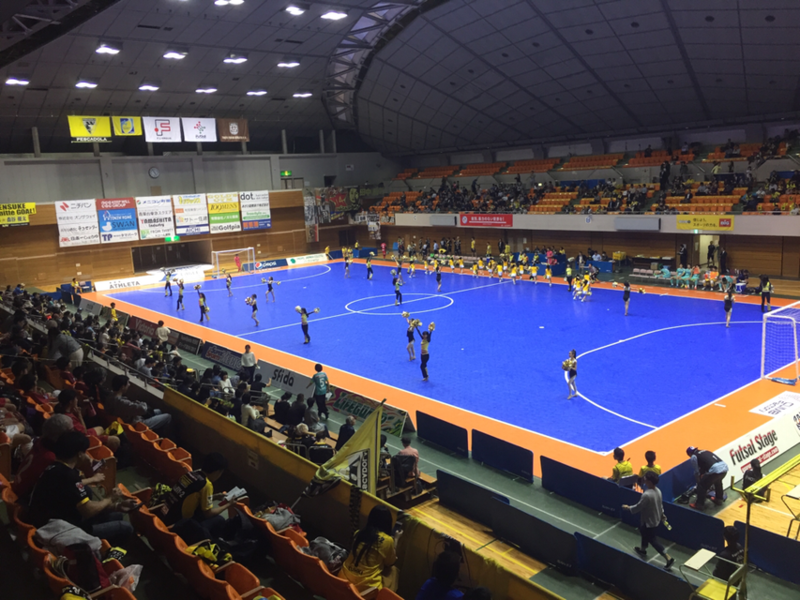 Both Machida city and Fuchu city are the communities of Western Tokyo Tama area so it's called the match as "The Tokyo Derby" or "The Tama Derby" for the matches of two teams. For this season 2016-2017, for the first "Tokyo Tama Derby match", Fuchu beat Machida by 2-1 in Fuchu and Machida beat Fuchu by 4-3 in Machida for the second derby match with the advantage as home game for both teams. 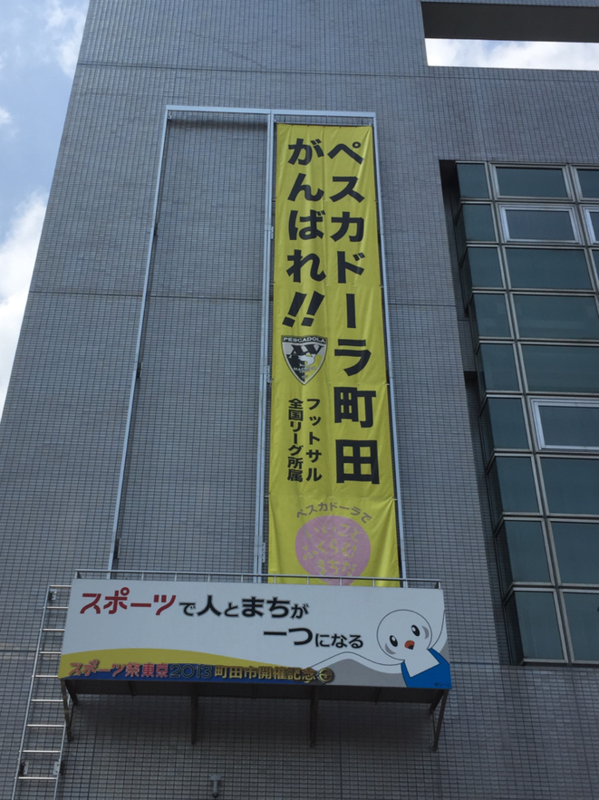 The next match in Fuchu would be the last derby match for F-league 2016-2017 season so it's expected the amazing game as local derby match. 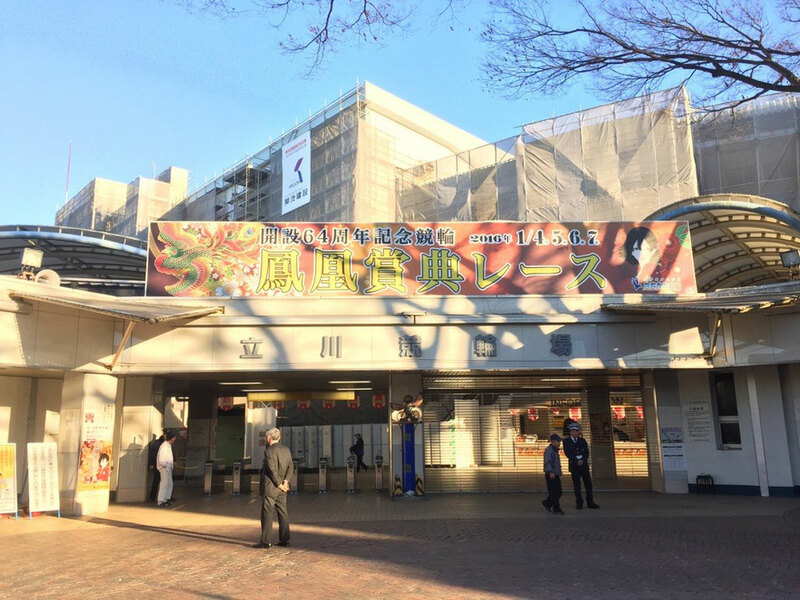 If you would like to discover the local attraction in Western Tokyo Tama area, let's enjoy this hot match with both exciting supporters before your Xmas party ! 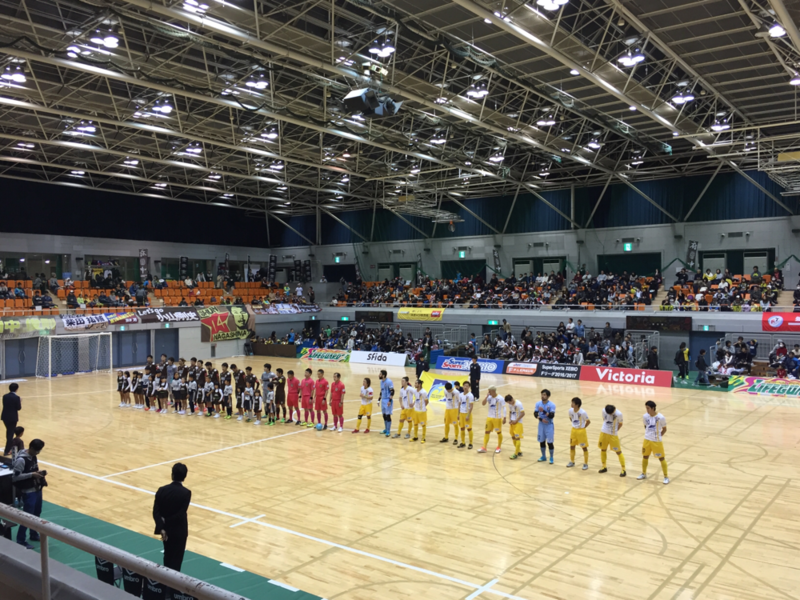 Home team : Tokyo Fuchu Athletic F.C. Have you ever seen horse-racing ? If not yet, you would have a chance to see in Tokyo. 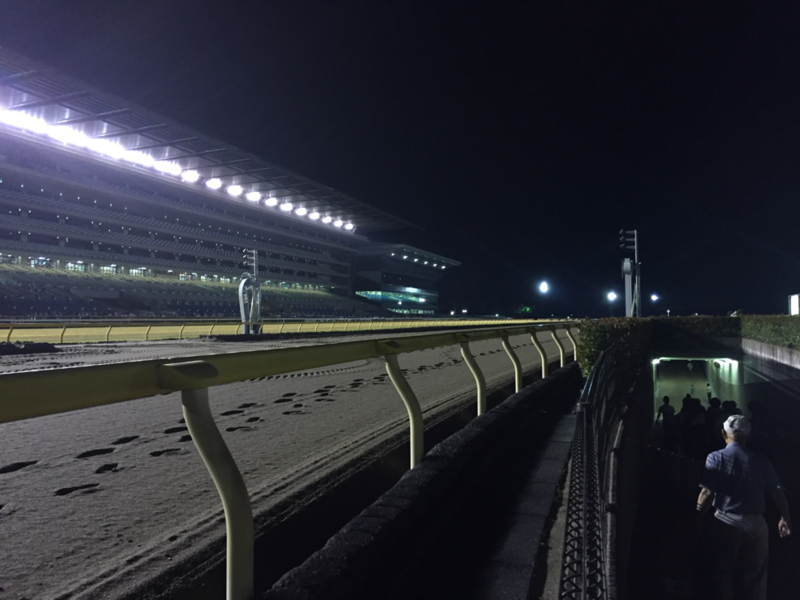 "Japan Cup" horse-race in Tokyo racecourse Fuchu city is one of the most exiting races among Japanese horse-racings and it is held on the last Sunday in November normally. 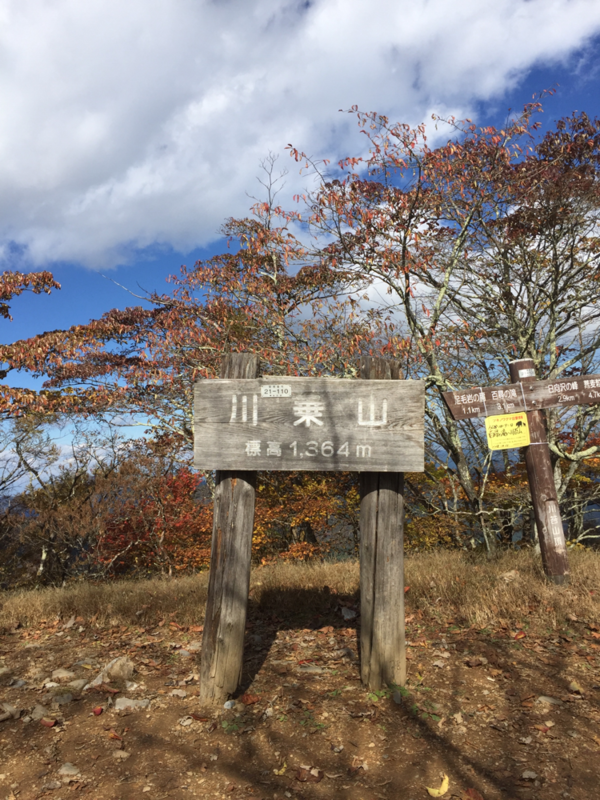 If you have a time to visit, let's visit there ! Even you won't bet, you would be able to enjoy it as a great entertainment. 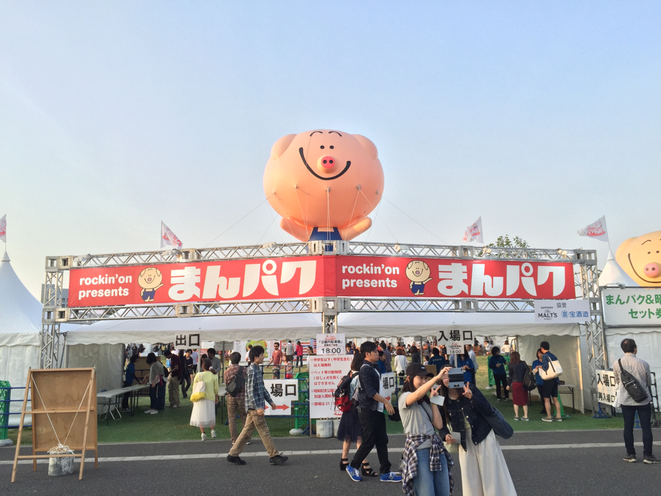 One of the most famous festival event is coming now ! "Tori no Ichi" festival event is held in November every year in Japan to have a good luck for their own business mainly. 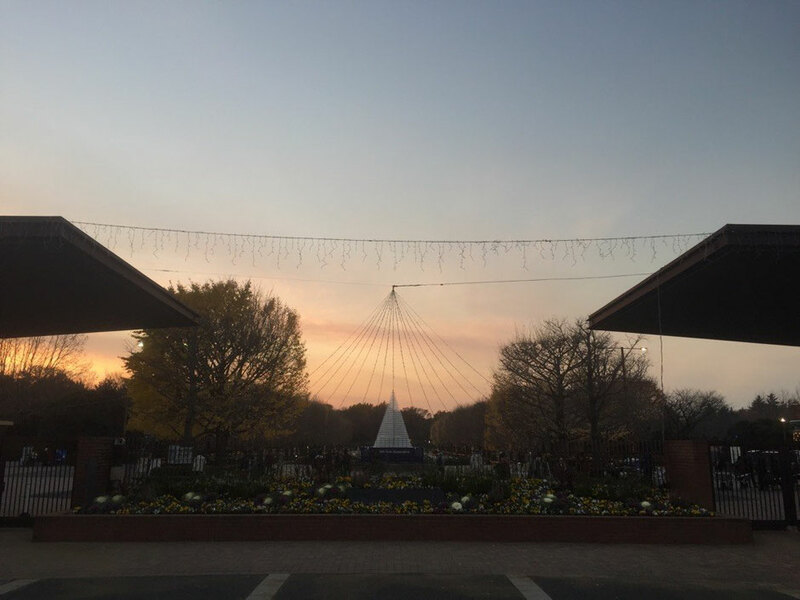 However you would be able to feel the real local seasonable moment if you visit ! Have a great chance with this festival ! 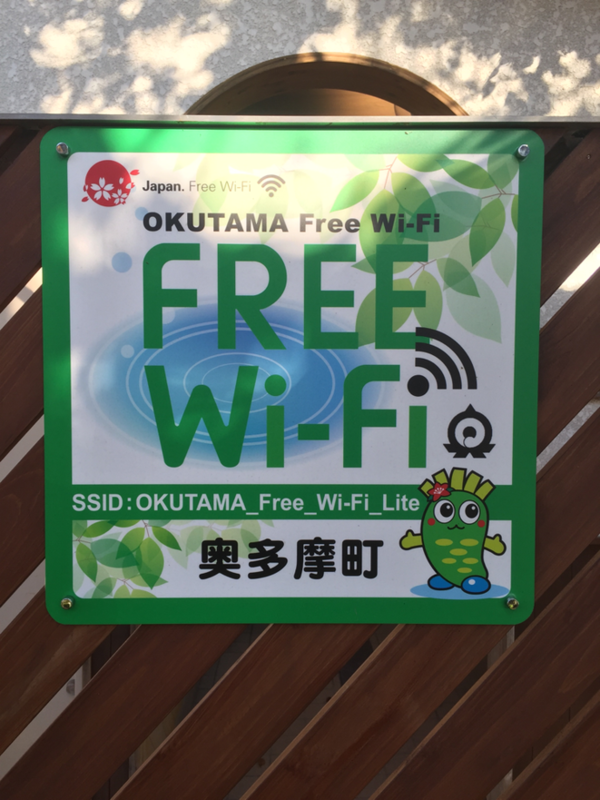 When you visit Okutama area (The most western side in Tokyo prefecture) and you would like to share the great moments through your SNSs immediately, you would be able to get free wifi in some area of this town, so don't miss this information for your future visit ! Let's enjoy your conversations with the local people as well ! 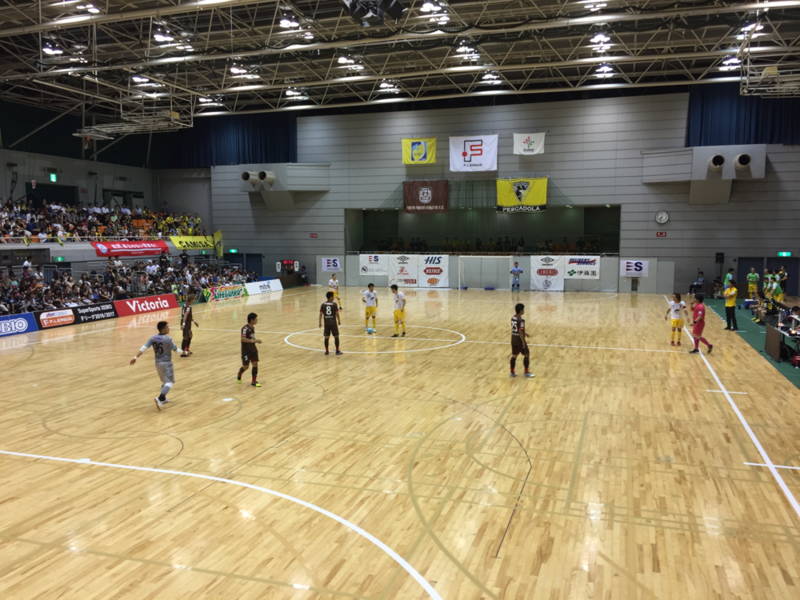 The "Tokyo Tama Derby match" of Japan Futsal League (F-league) between ASV Pescadola Machida and Tokyo Fuchu Athletic F.C. 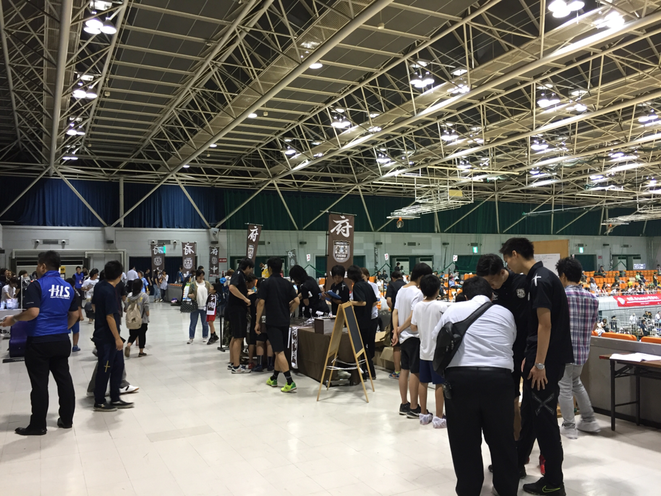 was held at Tokyo Machida city on the 22nd October 2016 with the 1,279 spectators ! 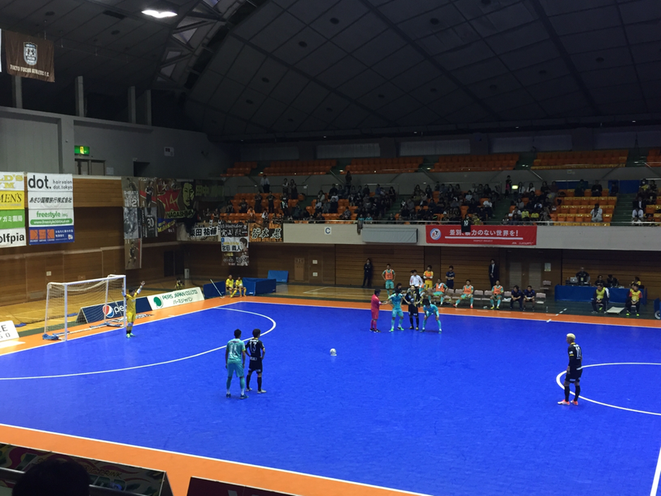 As the real local derby match of futsal in Western Tokyo "Tama" area, it was really exciting and interesting until the end of the match and Machida defeated Fuchu by 4-3. 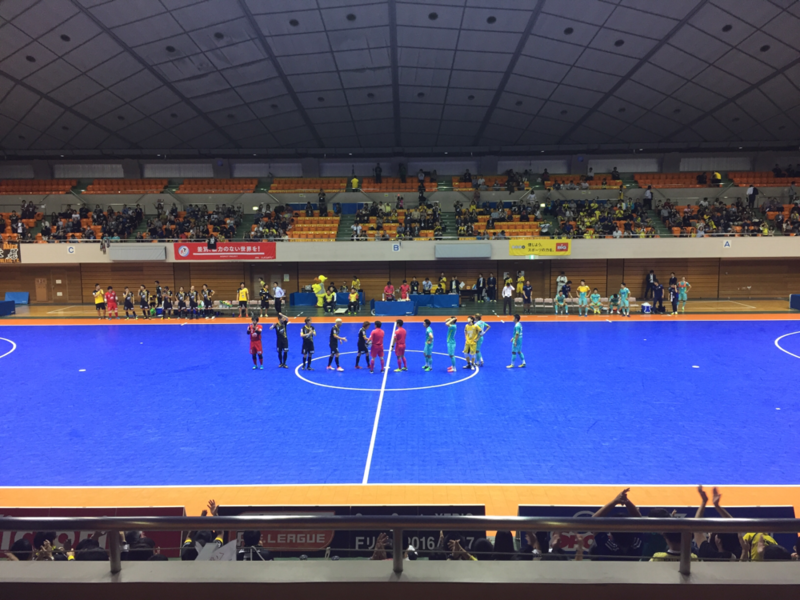 During the last 10 minutes, both teams got 3 goals and final goal was scored by Machida just 1 minute 33 second before the time up. 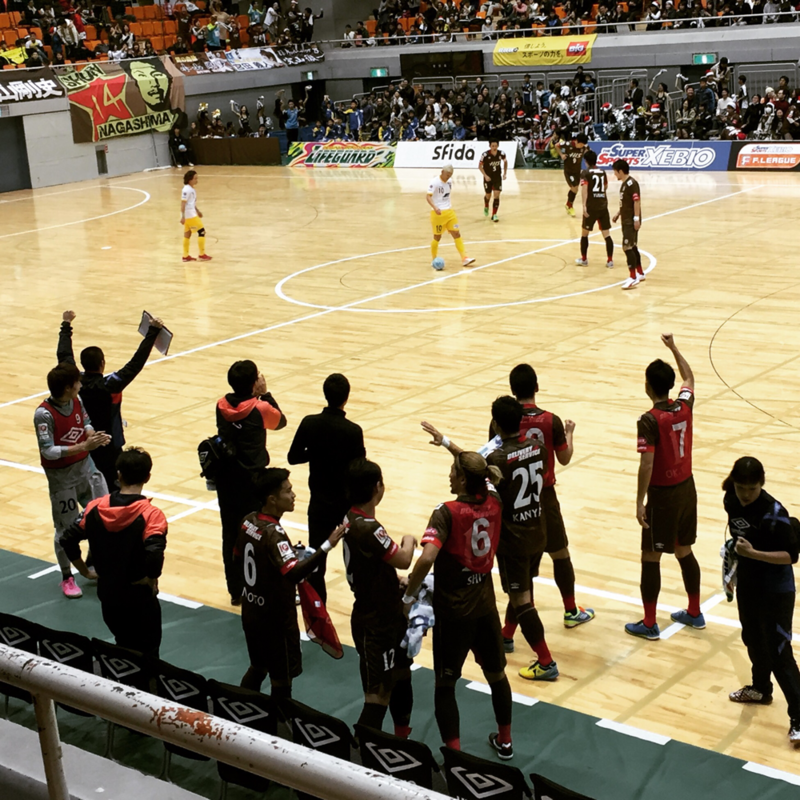 Machida wins six straight victories with the home game and it's even now as the "Tama Derby match" of the season 2016-2017. The next "Tama Derby match" will be held at Fuchu municipal gymnasium on the 24th December (Christmas Eve day) and let's enjoy the fantastic game before your Christmas party ! Don't miss the great moments ! 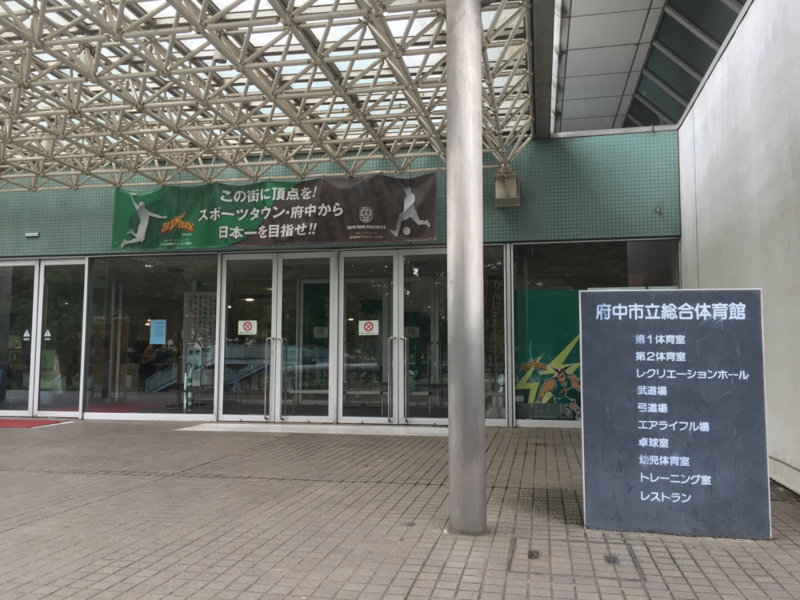 One of the greatest moments in terms of local sport in Western Tokyo Tama area will be coming soon ! 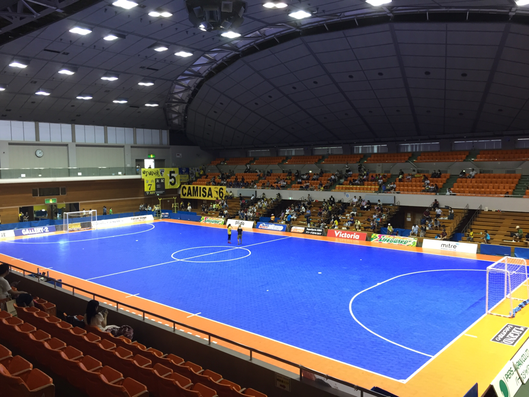 Japanese professional futsal league (F-League) match between ASV Pescadola Machida and Tokyo Fuchu Athletic F.C. will be held at Machida municipal gymnasium in Tokyo Machida city on the 22nd October 2016. 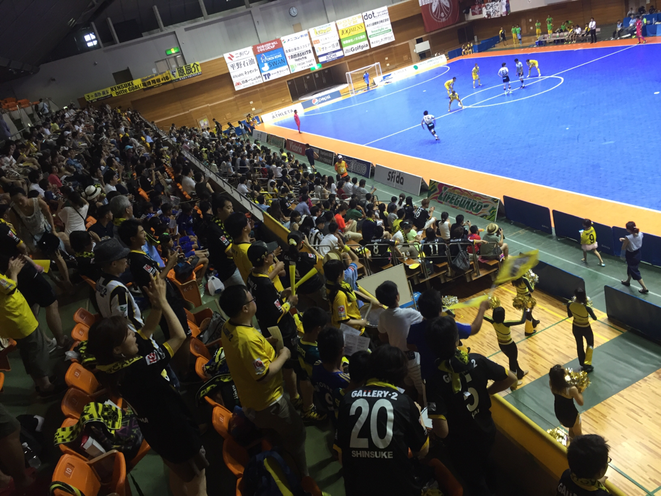 For this season 2016-2017, the first "Tokyo Tama Derby match", Fuchu beat Machida by 2-1 in Fuchu with the advantage as home game. 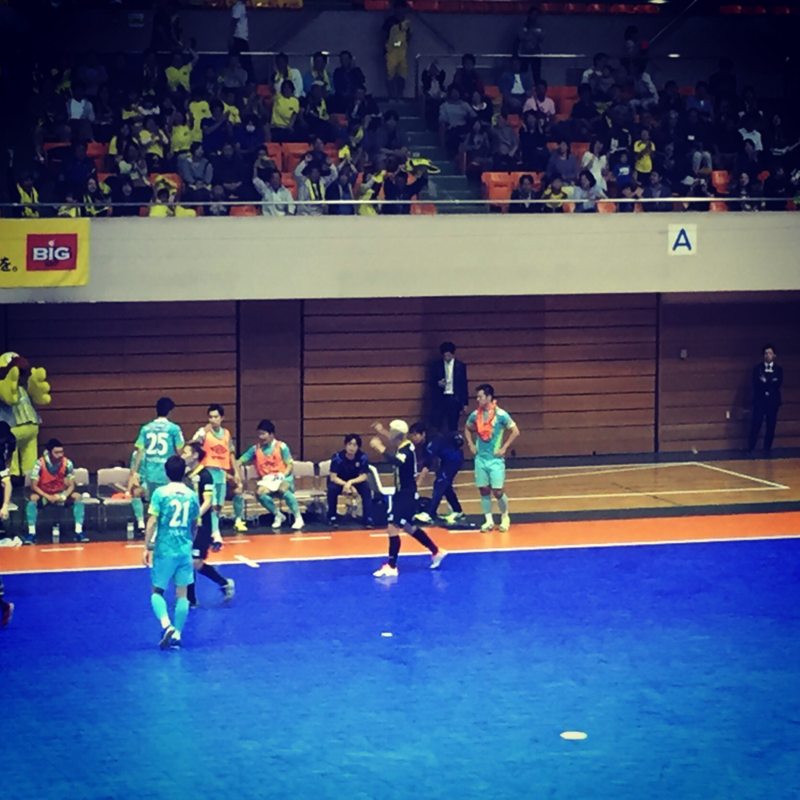 For the next match in Machida, it would be expected that ASV Pescadola Machida would be more aggressive against Tokyo Fuchu Athletic F.C. 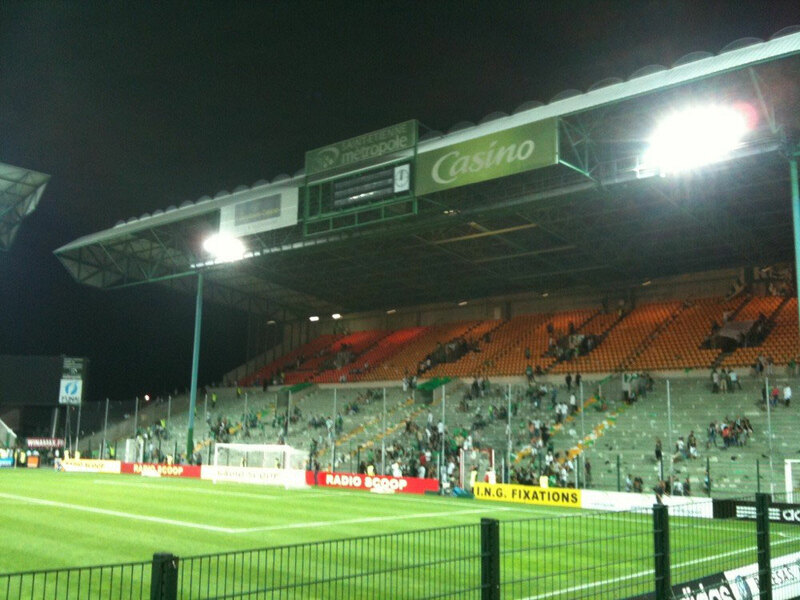 as the same local team. 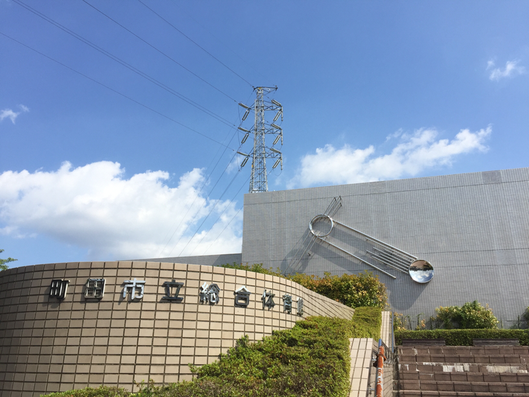 If you would like to discover the local attraction in Western Tokyo Tama area, let's enjoy and don't miss this hot spot with both exciting supporters ! 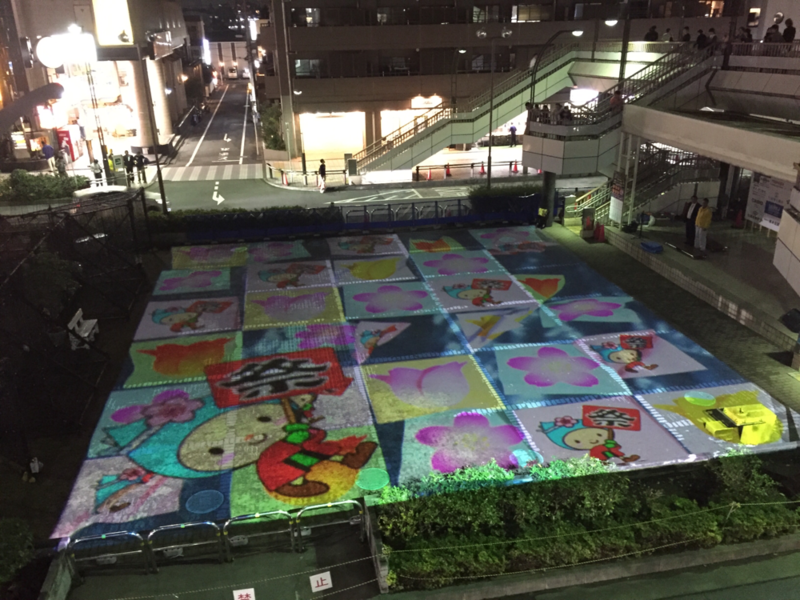 Hamura Illumination festival event has been held at Tokyo Hamura city now ! 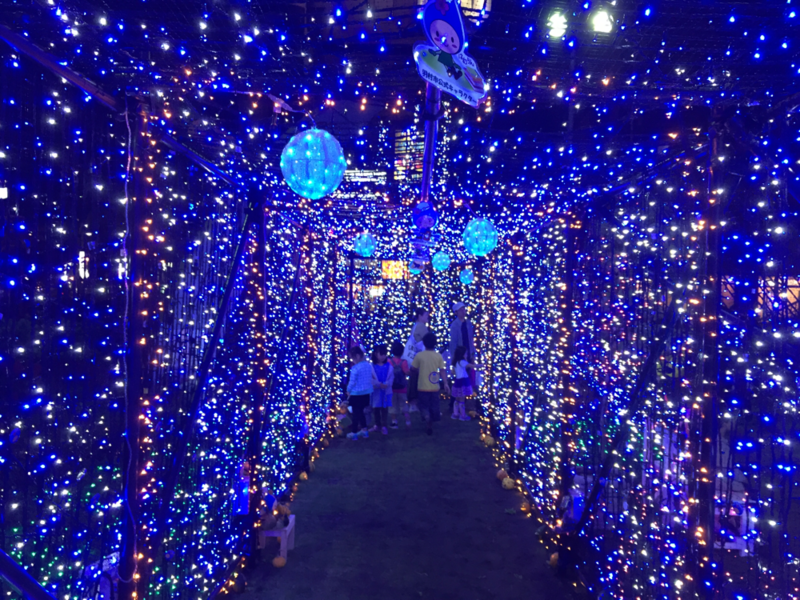 At Ozaku station of JR Ome line, you would be able to see and visit this illumination (6:00pm - 10:00pm) and also you would be able to see the projection mapping show (7:00pm, 7:30pm, 8:00pm Mon-Thu, 6:00pm, 6:30pm, 7:00pm, 7:30pm, 8:00pm, 8:30pm, 9:00pm Fri-Sun, about 3 minutes show for each time) with free entrance from 8th to 23rd October 2016. Let's try to get your favorite pictures or movies there ! 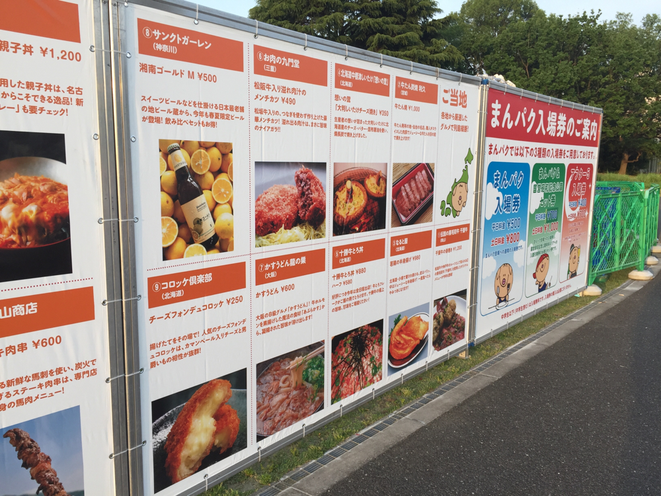 Also another events such as hot food festival and dance show, etc would be held so please check the details with official website as below. 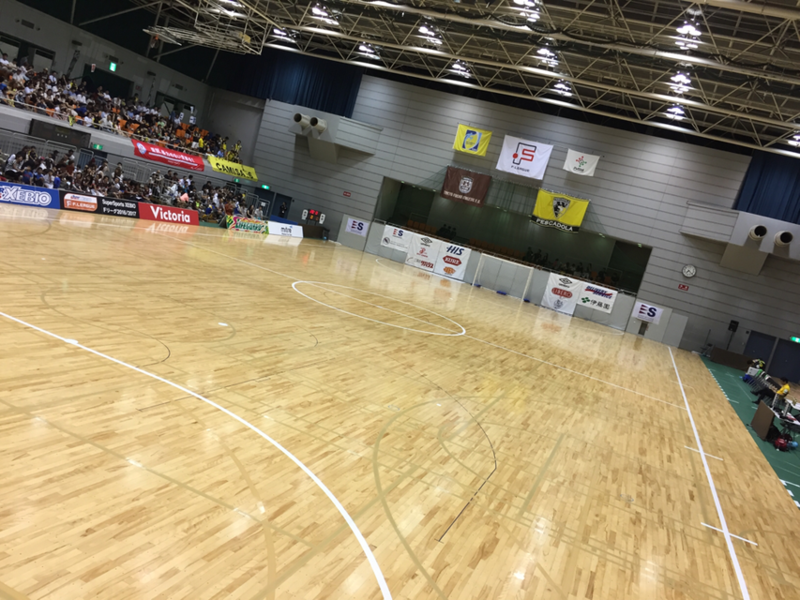 Sports season is coming in Japan now ! 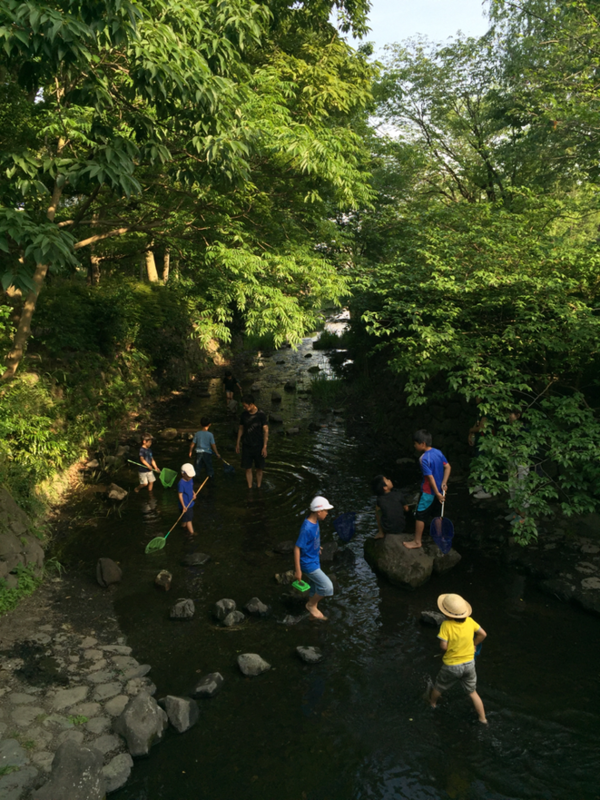 You would be able to have exciting moments with lots of sports in western Tokyo Tama area as well ! The biggest sport facility is Ajinomoto Stadium in Tokyo Chofu city, with the easy access by about 30 minutes only from Shinjuku station by Keio line. 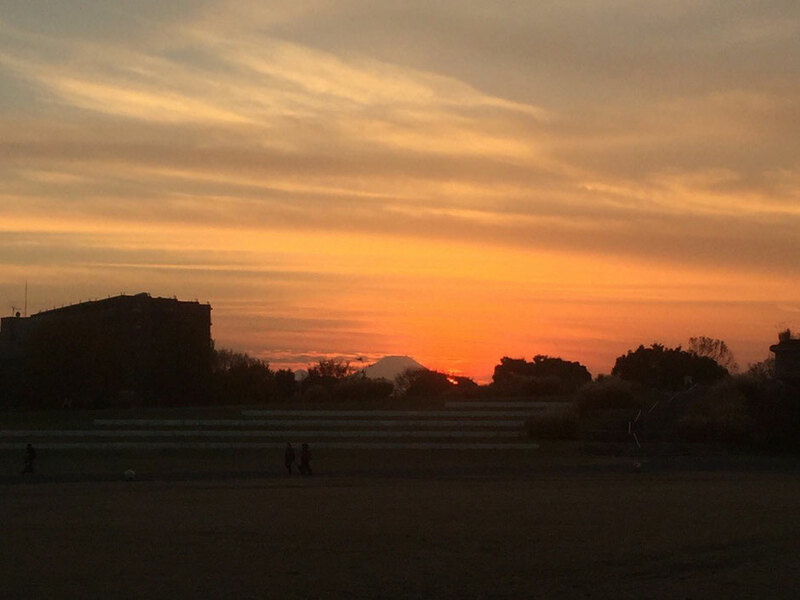 Mainly Soccer and Football games are held in this season there. 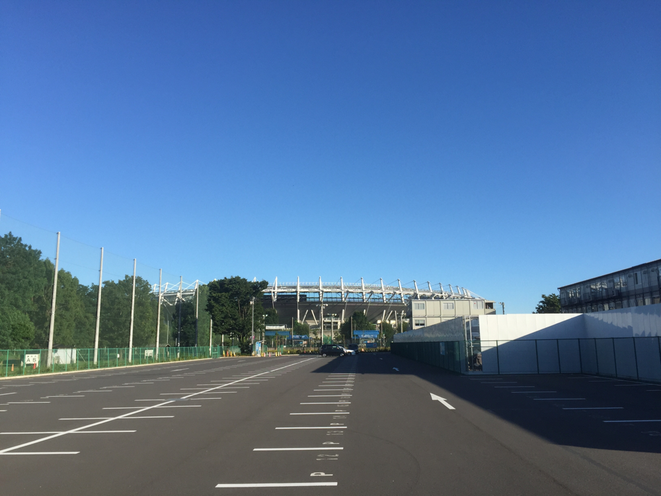 For American football, Kantoh Collegiate Football matches are held at Aminovital Field, located just next to Ajinomoto Stadium and let's try to visit there if you are interested ! Here you are & well come back to the Yokota Air Base ! 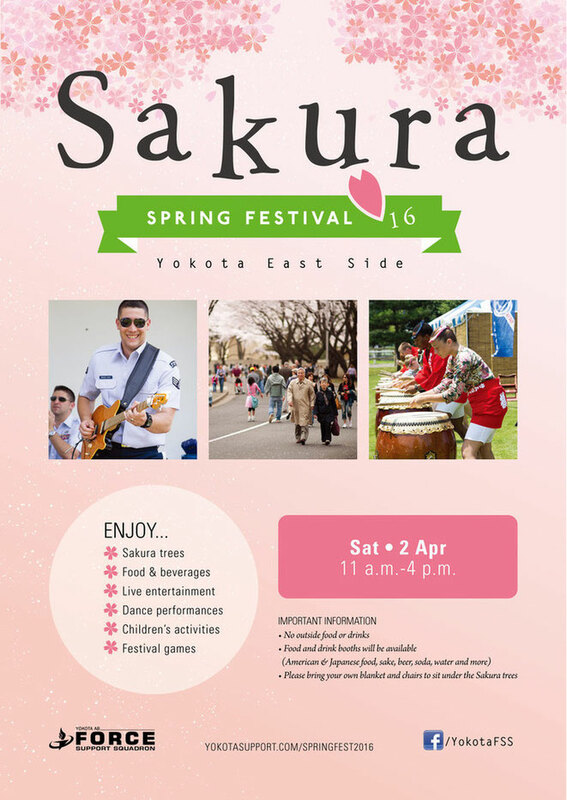 Yokota Air Base Japanese-American Friendship Festival 2016 will be held soon ! 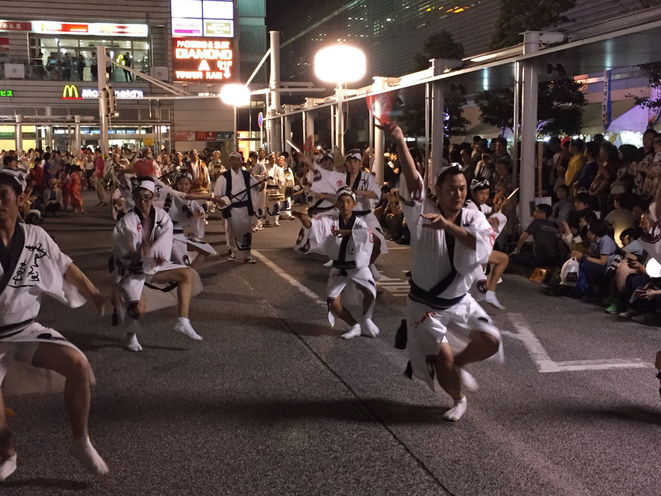 This event would be held on the 17th and 18th September this year and don't miss this international festival to discover the new world in Western Tokyo Tama area if you have not been there yet ! Don't forget your passport for your short day-trip to the USA and enjoy your trip ! Great and Hot moments will be coming soon in Tokyo Machida ! On the 6th August 2016, F-League (Japanese professional futsal league) match between Pescadola Machida and Fugador Sumida will be held at Machida municipal gymnasium in Tokyo Machida city. 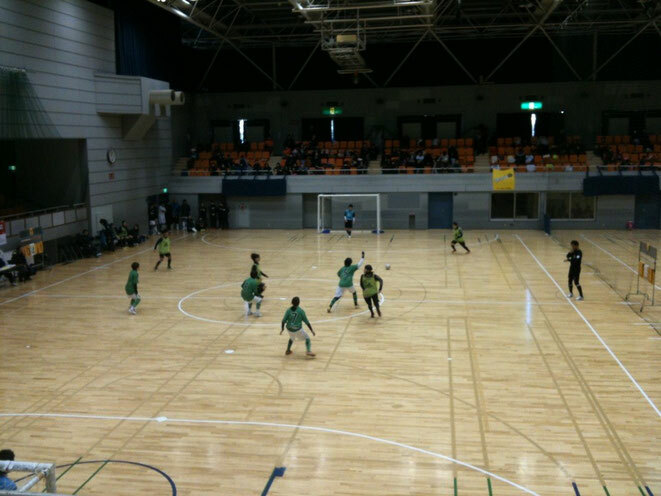 Machida and Sumida are communities in Tokyo so it's called the match as "The Tokyo Derby" for the matches of two teams. Actually, Machida wins 3 straight victories and Sumida is the 1st place of the F-league now so the match would be very important for both teams. With full of competitive spirit for two teams in Tokyo, certainly it would be a fantastic and exciting match. As Tama Toursim Promotion, certainly we will support Pescadola Machida and hope that the local people would be happy with their victory ! Moreover, there will be "Naruse matsuri festival" around Naruse station on that day, you would be able to enjoy both the match and festival as entertainment of sports and Japanese traditional summer culture ! Why not you go out with Yukata (Kind of Light Kimono in summer) ! 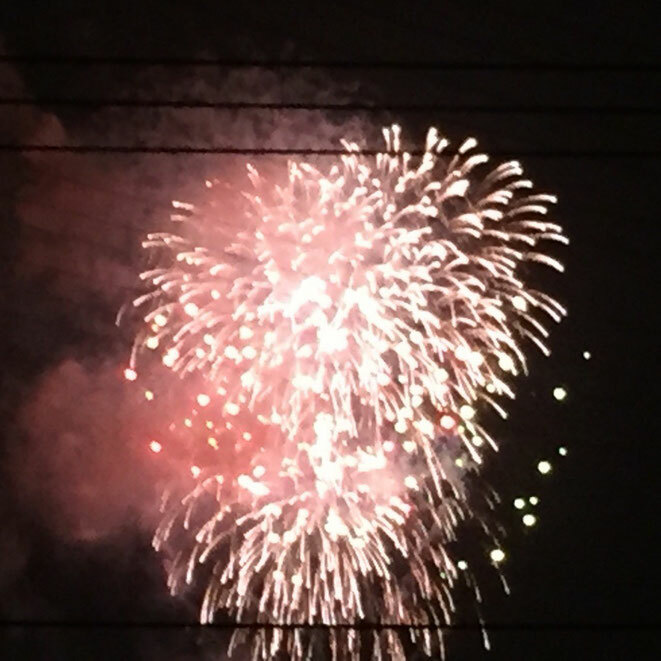 There will be two fireworks events in Western Tokyo Tama area, in Hachioji and in Tachikawa even though there will be one of the most popular fireworks event in the central Tokyo at Sumida river. 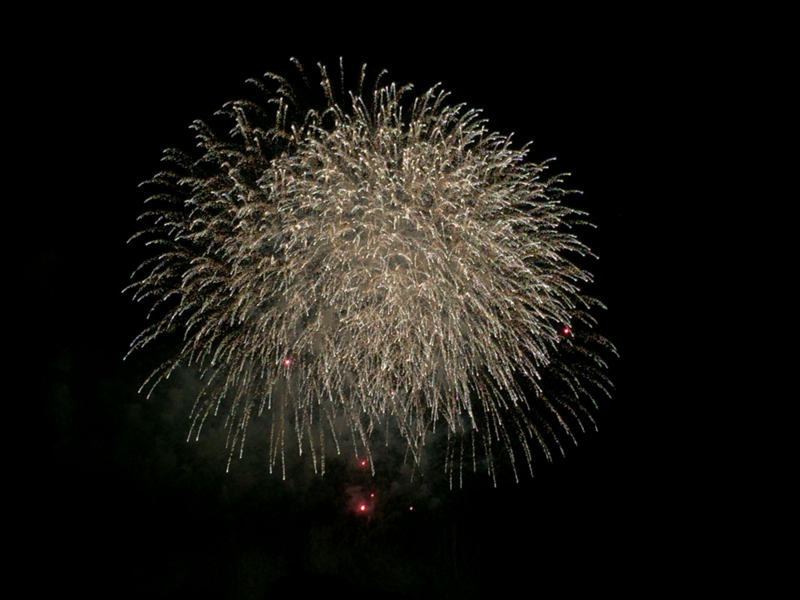 If you are living or staying around Western Tokyo area, don't miss these fireworks as both attractions would be great ! 2016 Tokyo Racecourse Fireworks event was held on the 10th July this year. 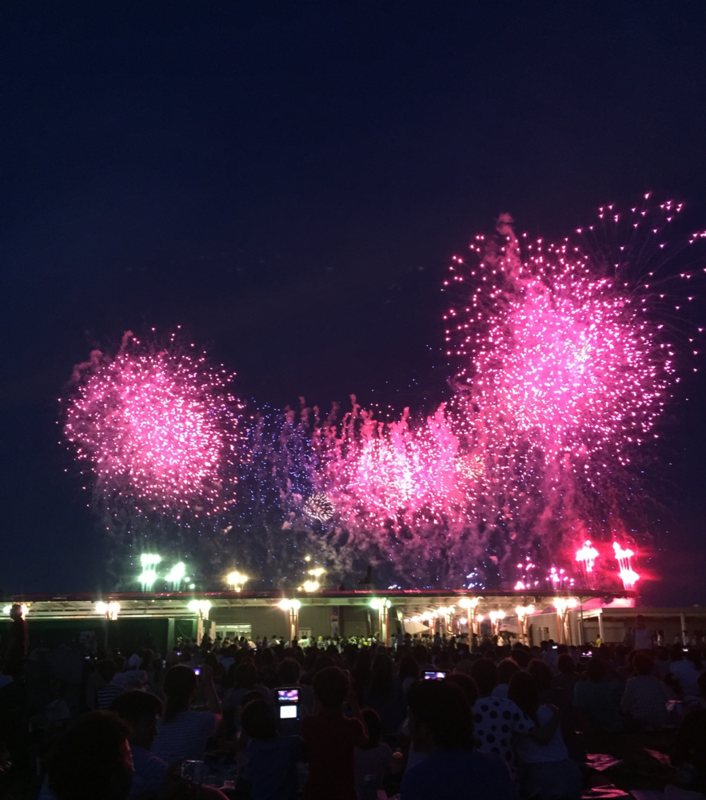 This fireworks event is arranged as the appreciation for the citizens of Fuchu city, however it's one of popular summer fireworks events in Western Tokyo Tama area now. 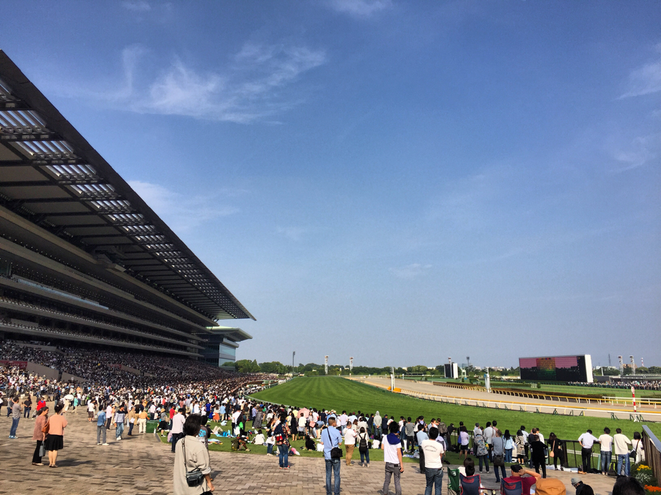 The date would be confirmed just before the event therefore please double check with Tokyo Racecourse in early July if you would like to visit there ! 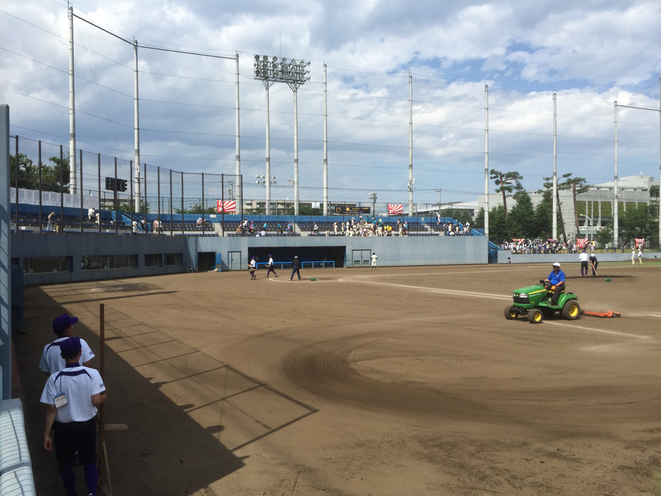 The 98th Japan high school baseball summer tournament in Western Tokyo Tama area has been started ! 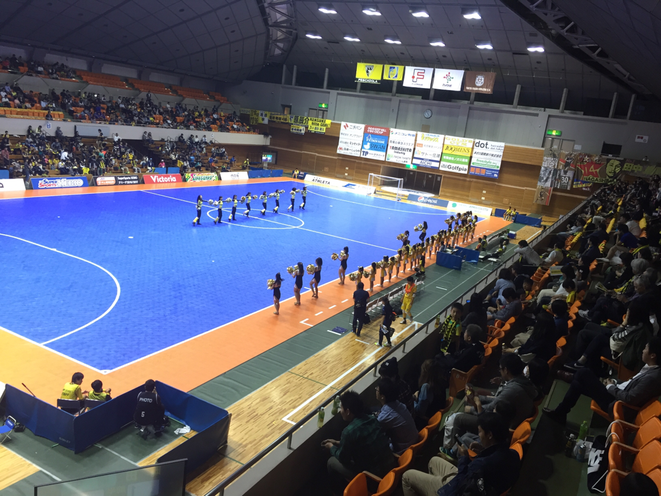 One of the attractions is the match between private high school and Tokyo metropolitan public high school. Which team will go to the national tournament as the representative of Western Tokyo Tama area. Don't miss the hot moments ! Here is one of the hottest spots in Japan with the horse race course of "Japan Derby". 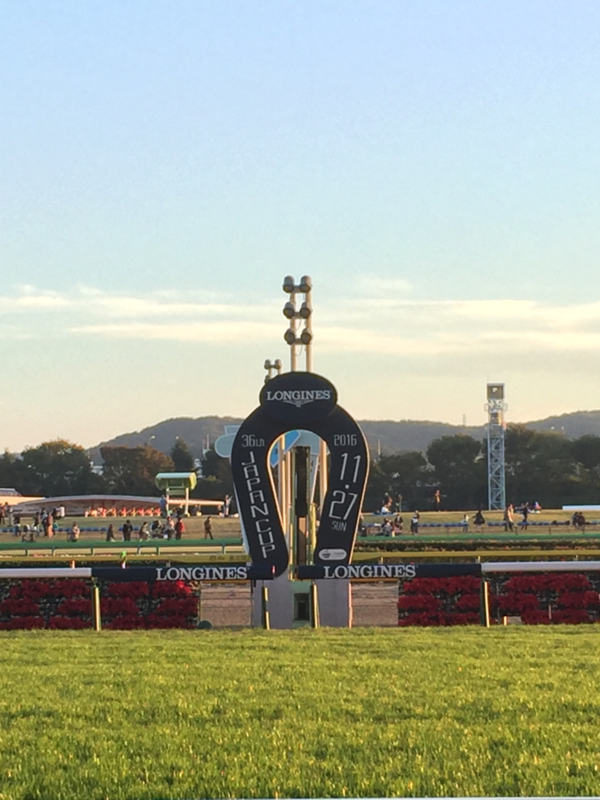 This 83rd event in 2016 would be held at Tokyo Racecourse in Tokyo Fuchu city on the 29th may 2016 and the main race of the Derby would be held at 3:40pm. 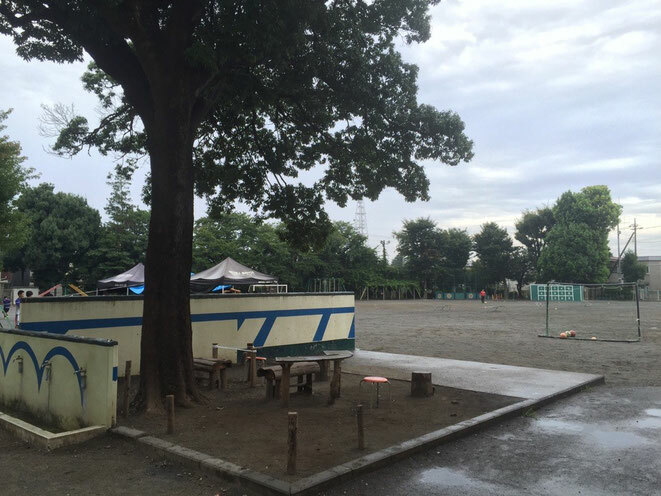 Expected of around 100,000-150,000 spectators so you would have a very exciting moments here ! No need to bed the race but you could enjoy the atmosphere ! Would you like to try to eat various kinds of foods as you like ? 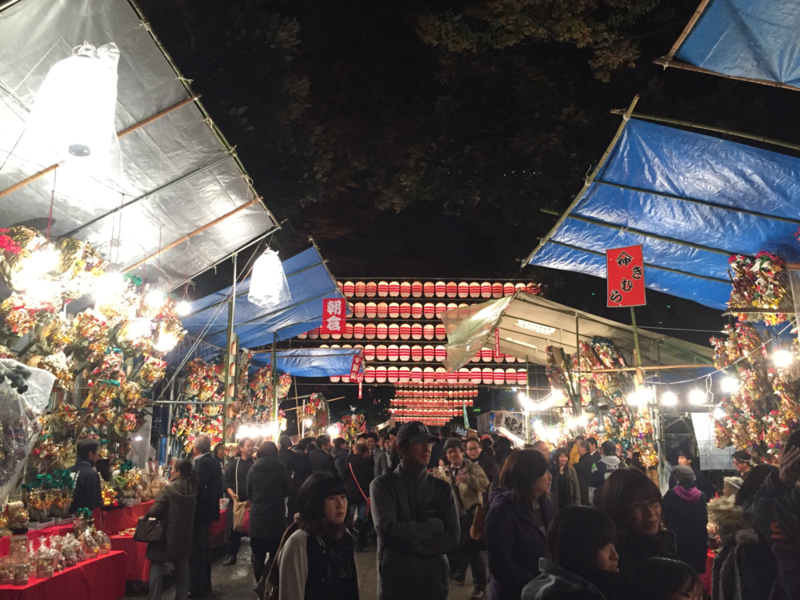 If you are interested in eating, this "Manpaku" Food festival would be suitable and enjoyable event for you. 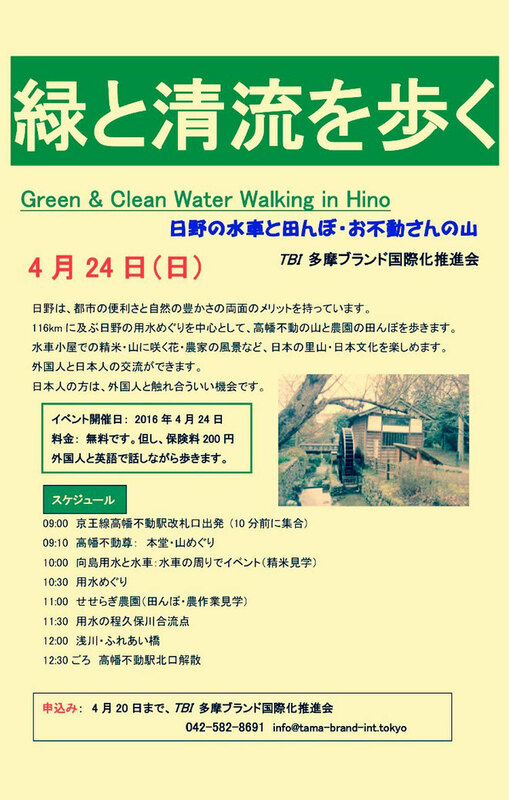 This event is now held at Showa Kinen Park in Tokyo Tachikawa city and even though you are staying at accommodations in the central Tokyo area, it's easy to visit by JR Chuo line (about 30 minutes by train only from Shinjuku). 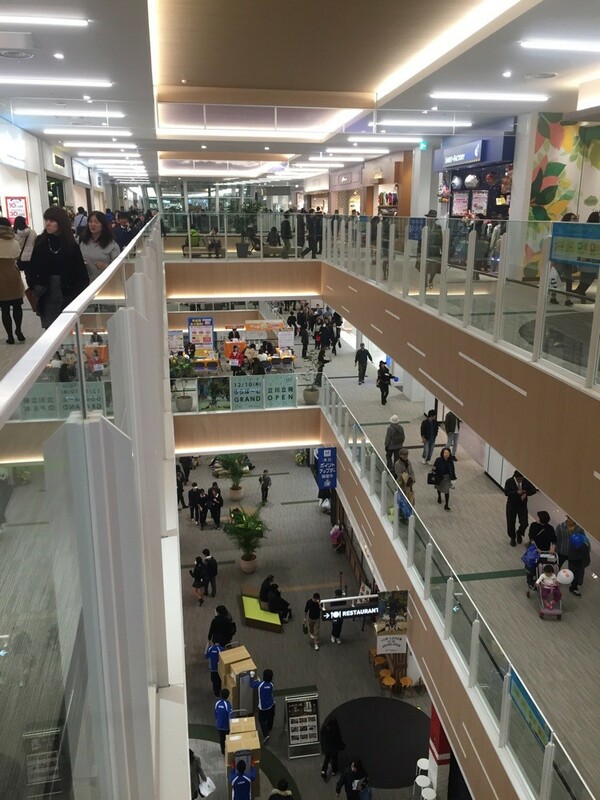 This place is a kind of hidden shopping spot which is located in Tokyo Hachioji city. When you visit Mt. 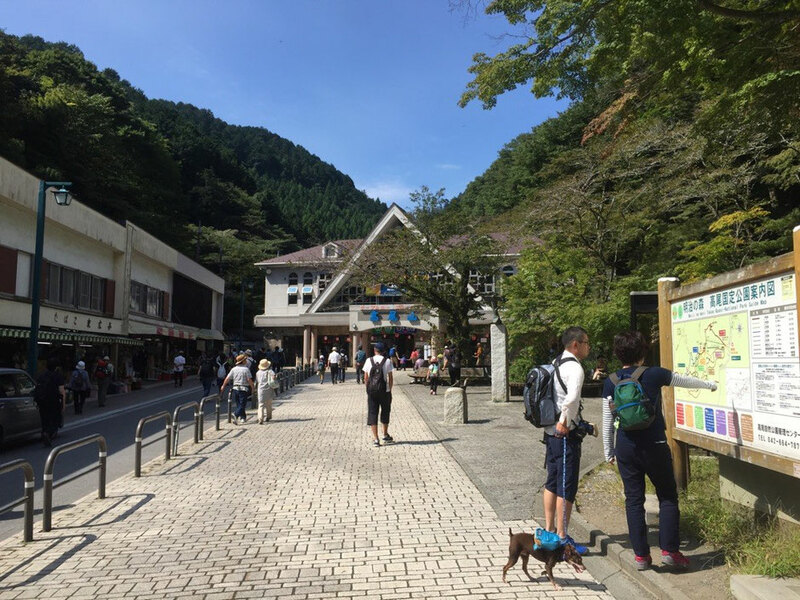 Fuji, Lake Kawaguchi, Nagano, etc, and after shopping at these spots, don't worry about your forgotten souvenirs as you would be able to find the souvenirs again at this parking area. 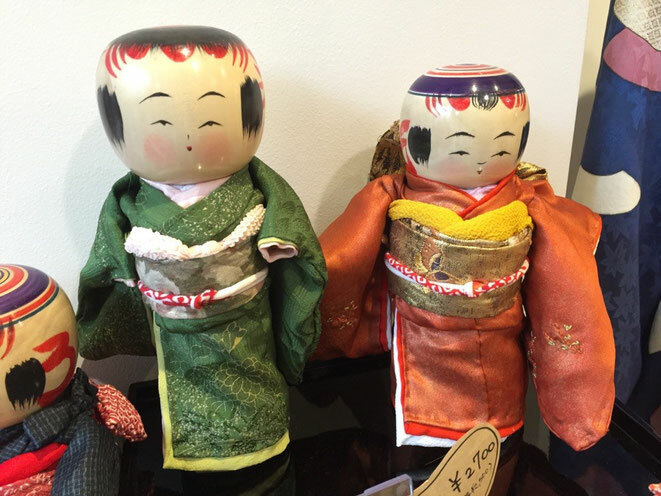 Otherwise you would be able to discover your new favorite souvenirs of your visit Japan. 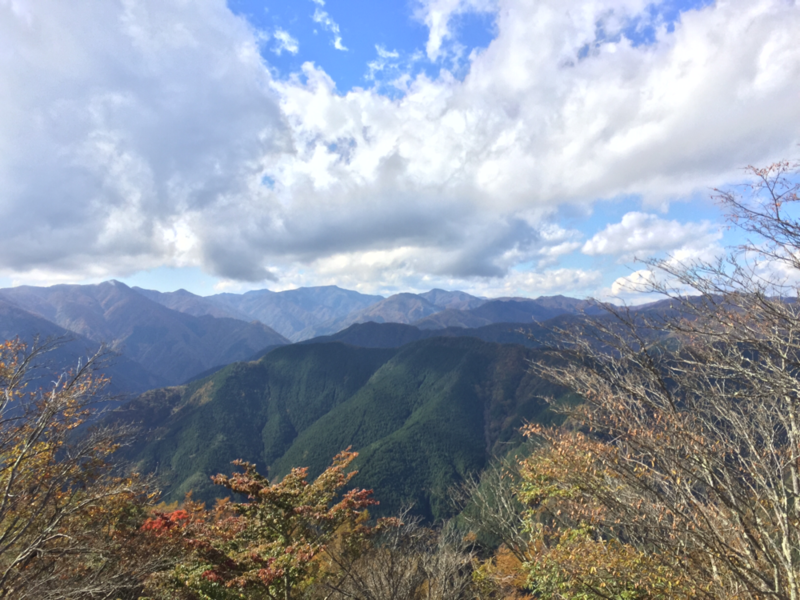 And this spot is opened not only for the users of Chuo Express also everyone who can accress to this spot directly for 24 hours ! 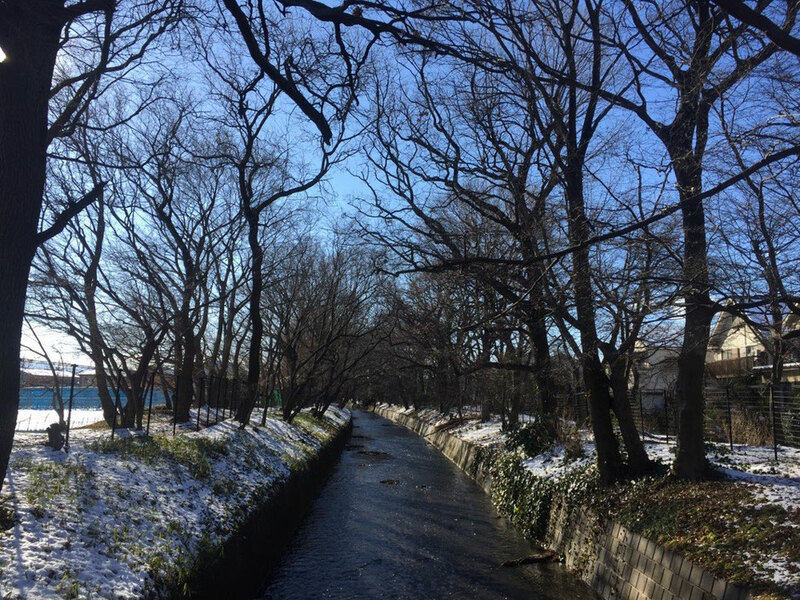 So you would stay at Hachioji, Tachikawa, Hino area, you would be able to visit there on foot or by car from your staying place. 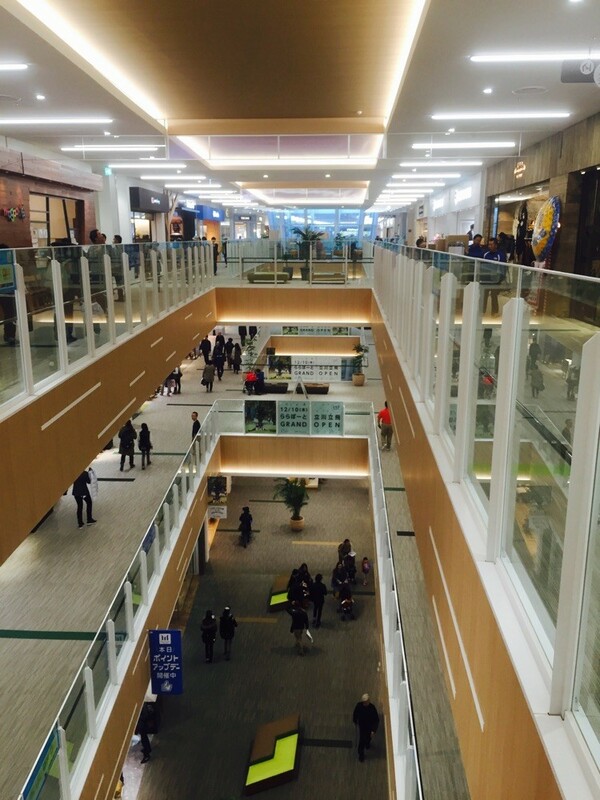 Enjoy your shopping for 24 hours here ! 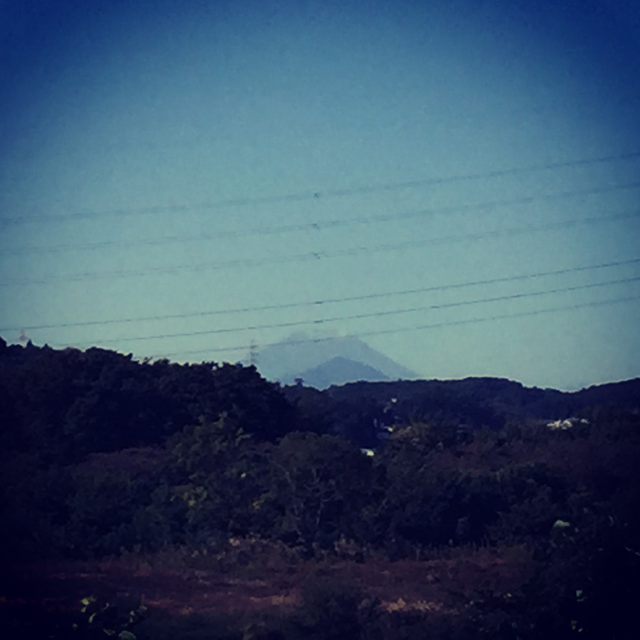 A kind of New Year Days today ! 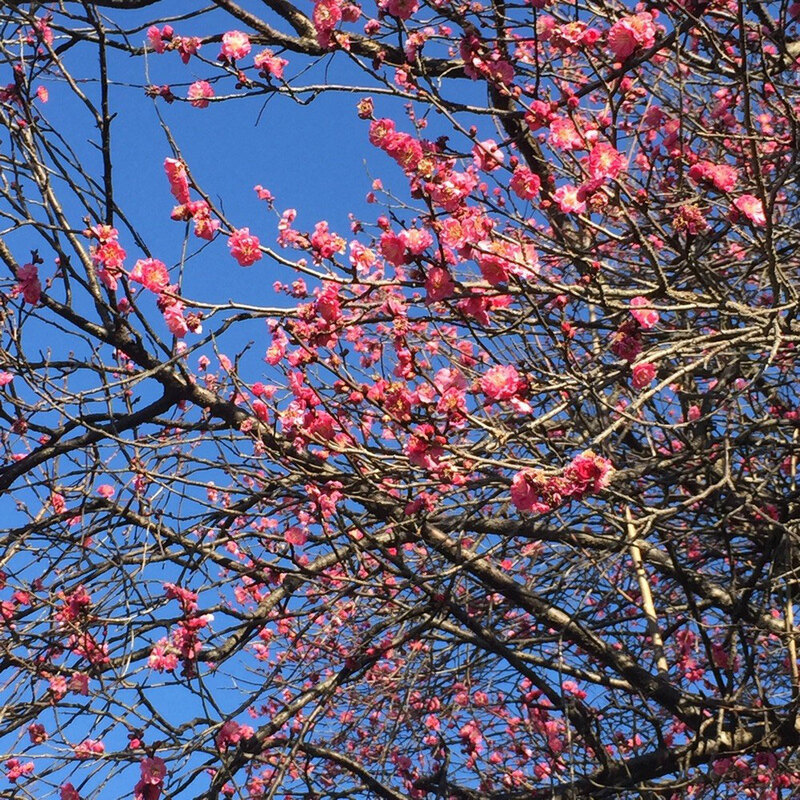 The first April is a kind of new years in Japan ! When you are in Japan around this period, you would be able to discover fresh people under the beautiful Sakura Cherry Blossoms ! Otherwise, please consider of your future visit here ! 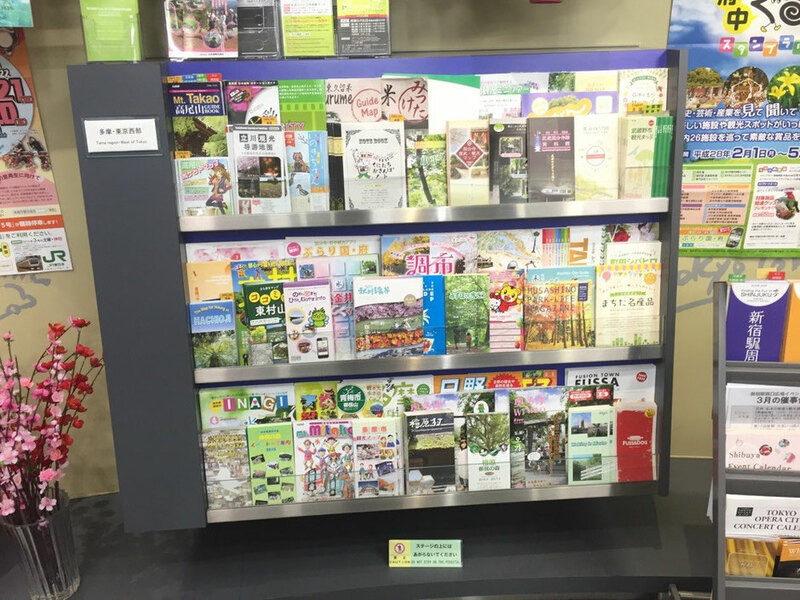 Here is official tourist center of Tokyo at Shinjuku Tokyo Metropolitan Government Building. You would be able to get Tourist information about Central Tokyo and Western Tokyo Tama area. 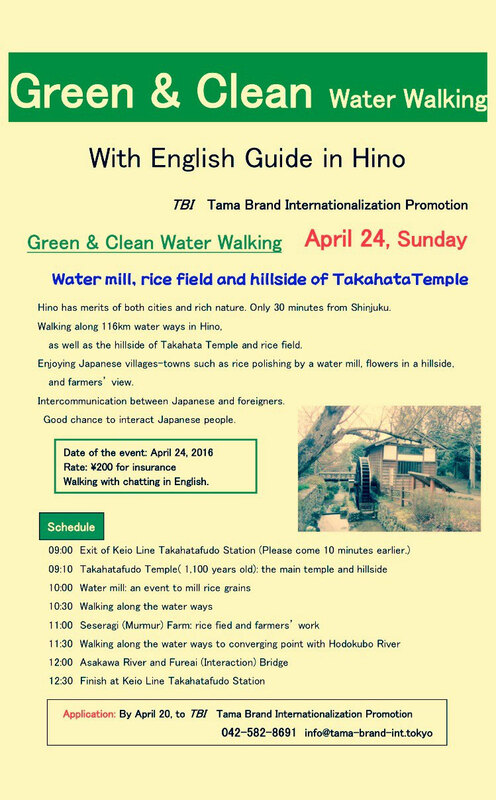 If you don't have enough time to visit Tama area, please get some information for your future visit or share the information with your friends ! 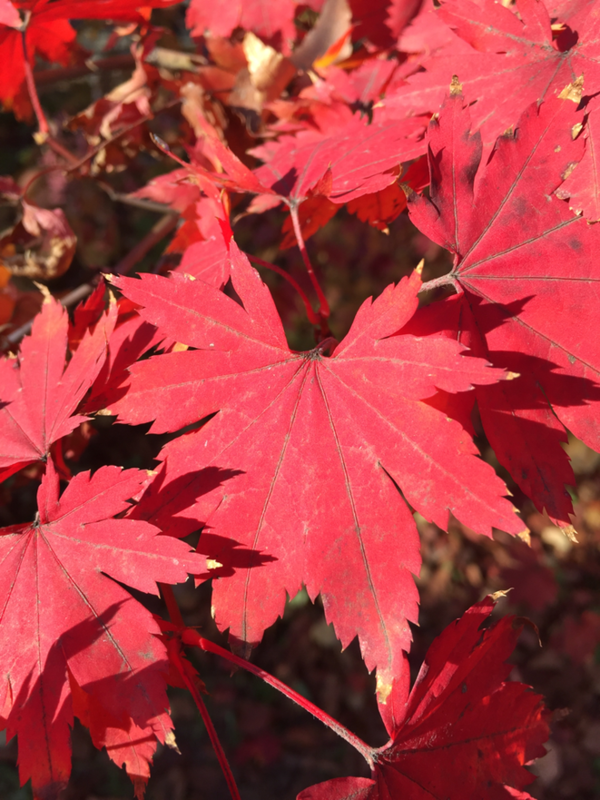 Let's enjoy your US visit in Musashimurayama Western Tokyo soon ! 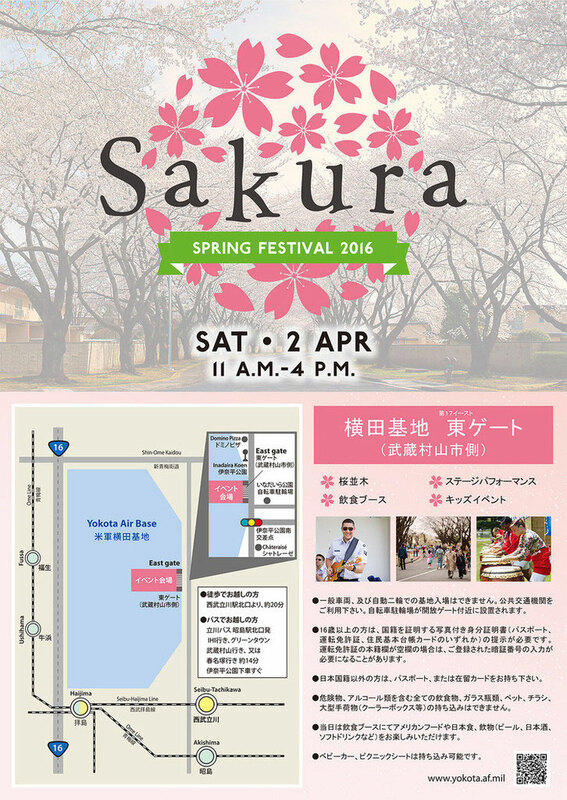 Sakura Spring Festival will be held at Yokota Air Base on the 2nd April 2016. 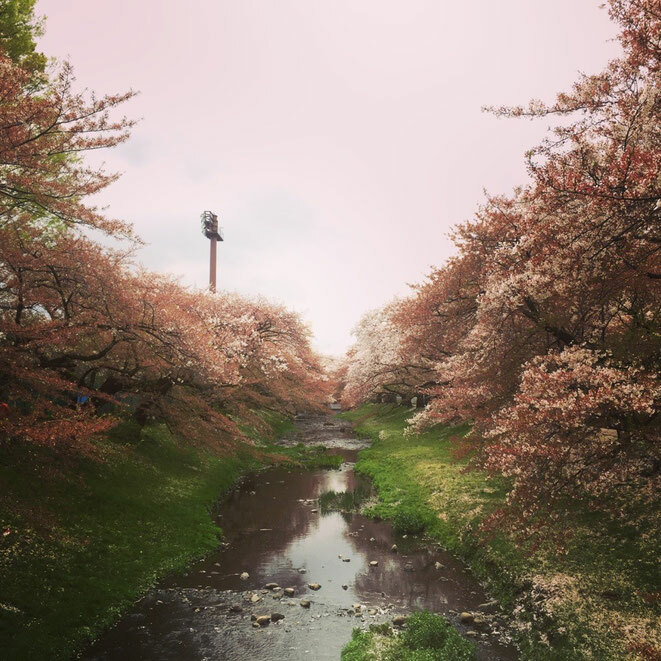 You would be able to enjoy US atmosphere with food & beverages, live music, dance performances, kids activities, etc under Cherry blossom Sakura trees. 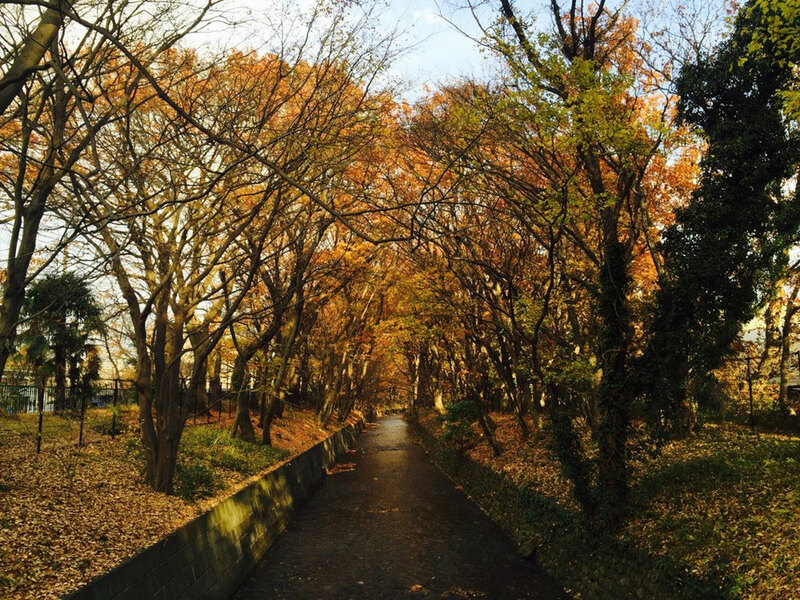 It would be a great experience for you to discover the US world in Western Tokyo Tama area ! However don't forget your passport to visit there and enjoy it ! Today is the unforgettable day for Japanese as the day of Earthquake in the East Japan on the 11th March 2011. 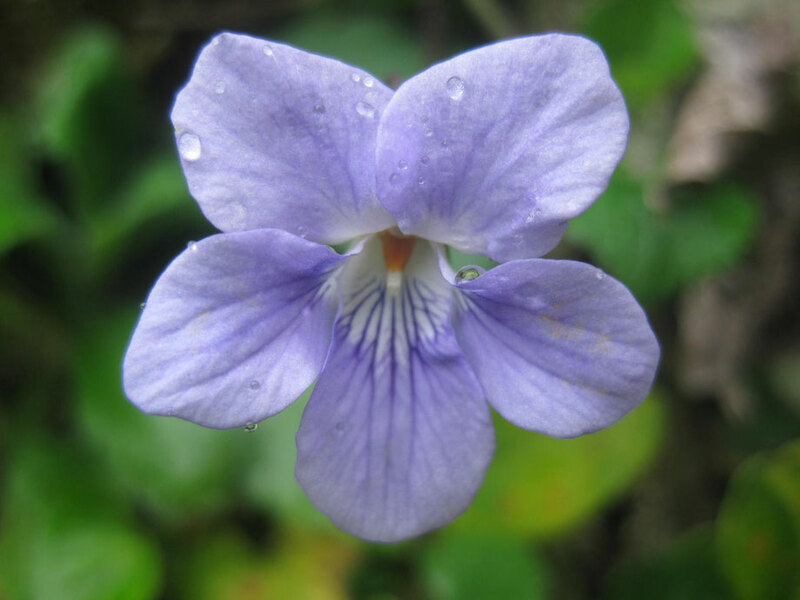 After 5 years, it's still under recovering at the east coast side in the Northern Japan such as Aomori, Miyagi, Fukushima, etc and we strongly wish the peaceful moment around the world. 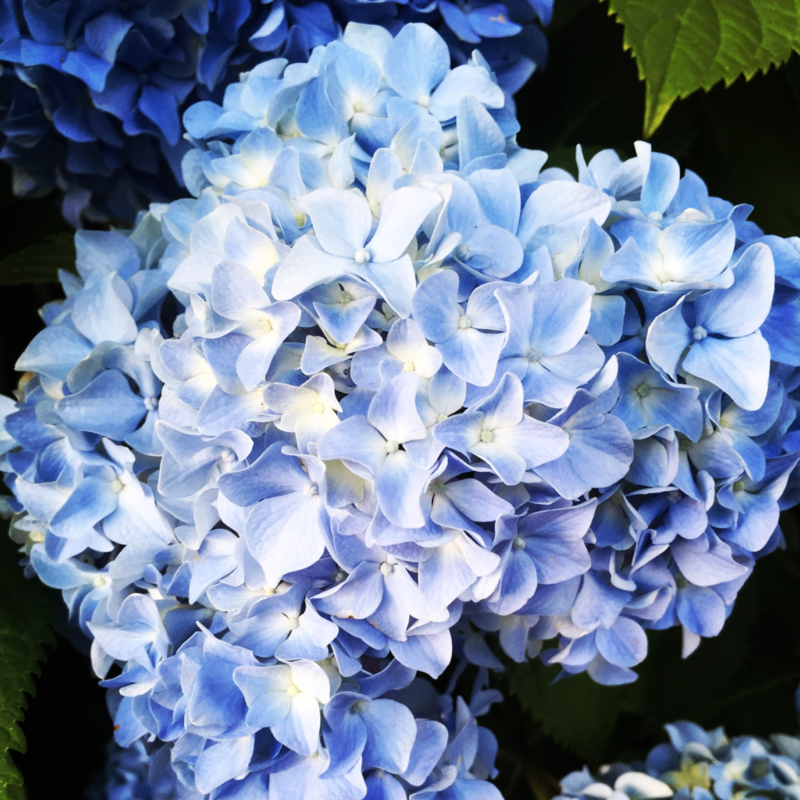 Spring Season is coming ! 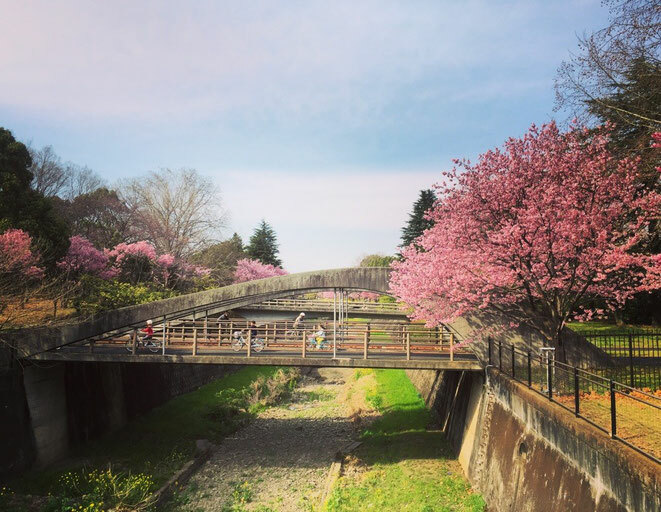 In Japan we can say the season of "Spring" in March, April and May and this season is one of the best season here. One of the most attractive moments in Spring is "Sakura (Cherry blossom)" season and it's a really fantastic moment ! Even though you have already visited and seen these beautiful flowers, you would like to come back to visit and see them again. 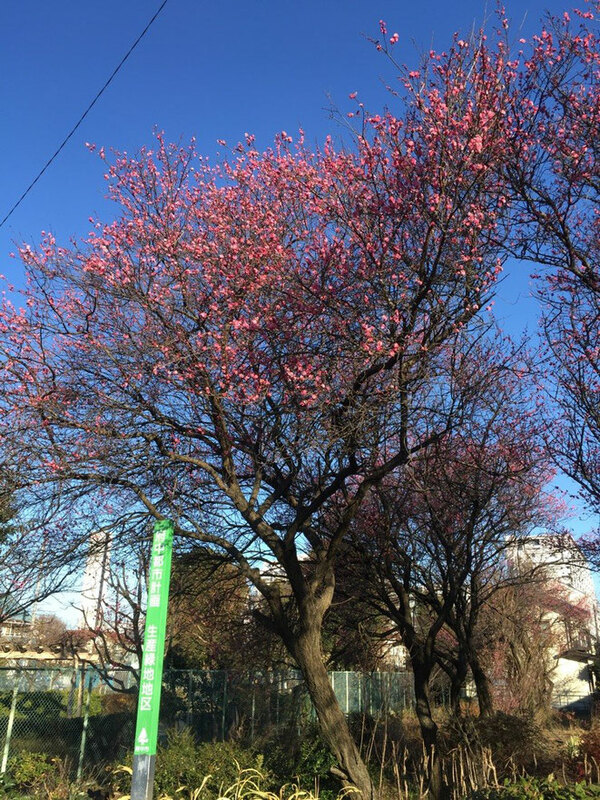 The peak period of Sakura depends on the weather conditions, please check the details before you visit. 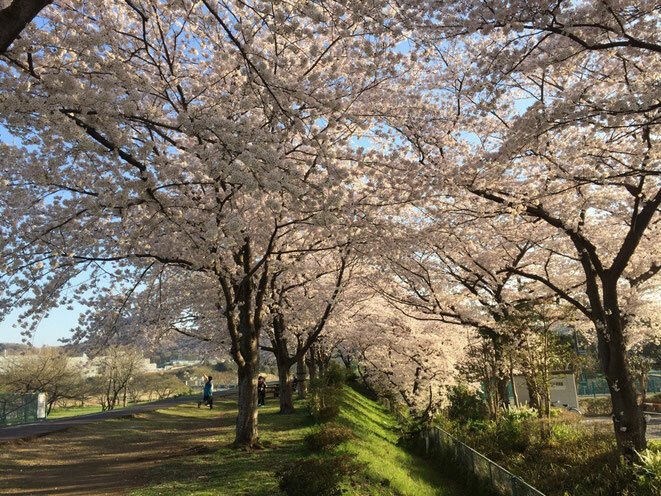 Enjoy your great moment with Sakura in Japan ! Happy Lunar New Year 2016 ! 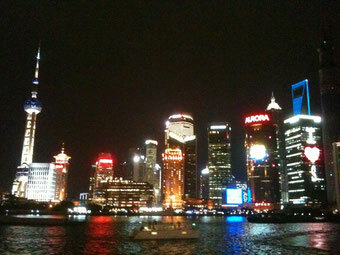 Now it's a festive period for mainly Chinese people and many Chinese are travelling around the world. 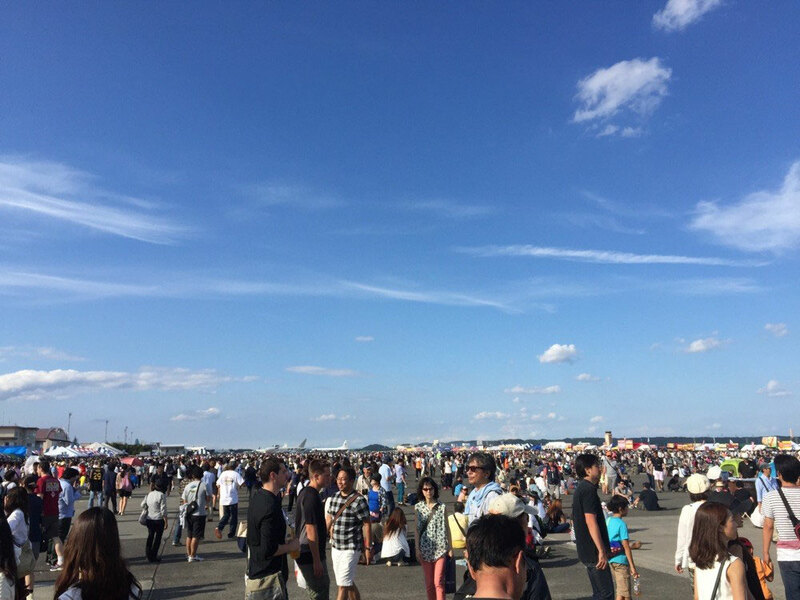 In Japan, Tokyo, Osaka, Sapporo, Fukuoka are the most popular tourist places for Chinese people with lots of direct regular and charter flights from Mainland China. 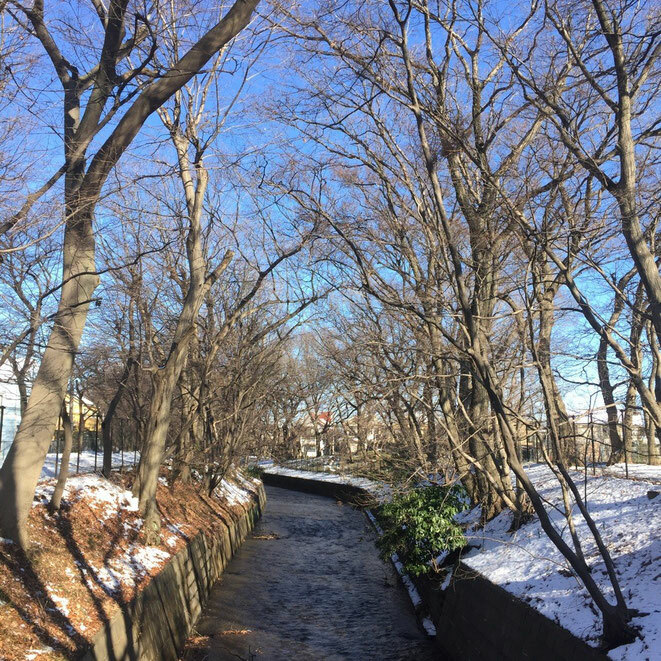 The next Lunar New Year would be on the 28th January 2017 and we will be happy to welcome to Western Tokyo Tama area as well as the central Tokyo. 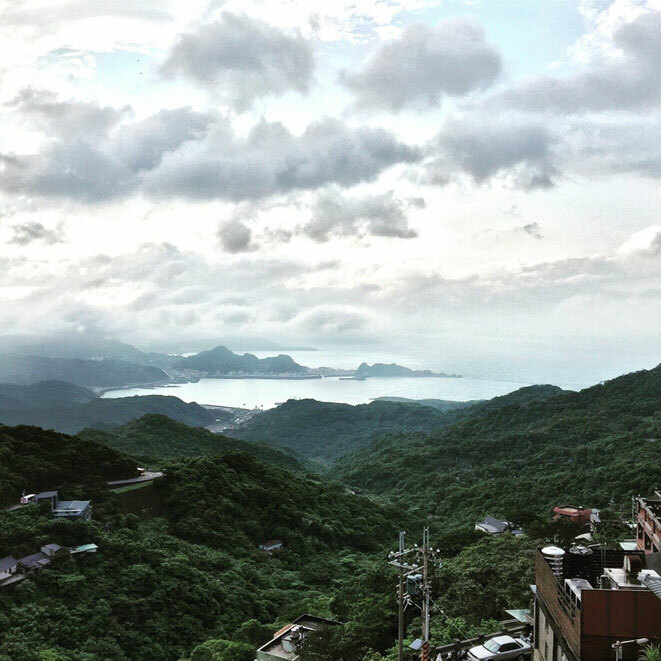 There was a earthquake of M 6.4 in the South Taiwan and the buildings has been damaged and broken by this earthquake. 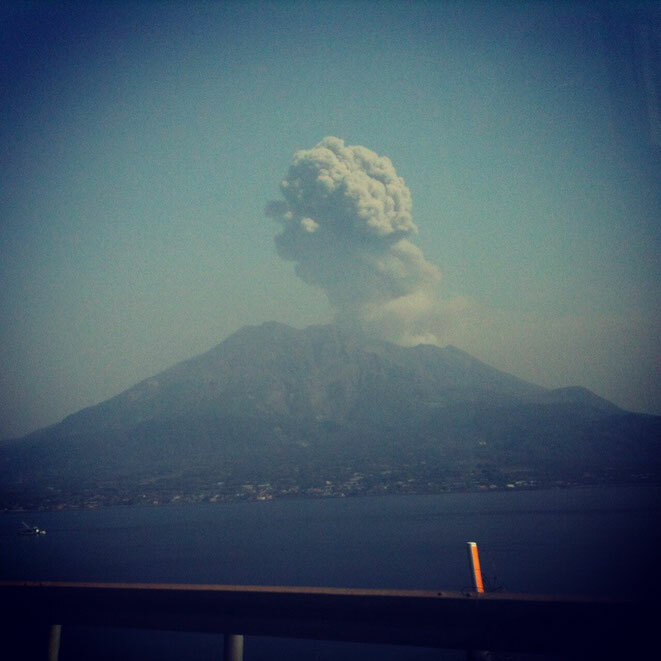 Earthquakes are happened in Japan as well however we wish the peaceful world even against the natural disasters. Where is it ? 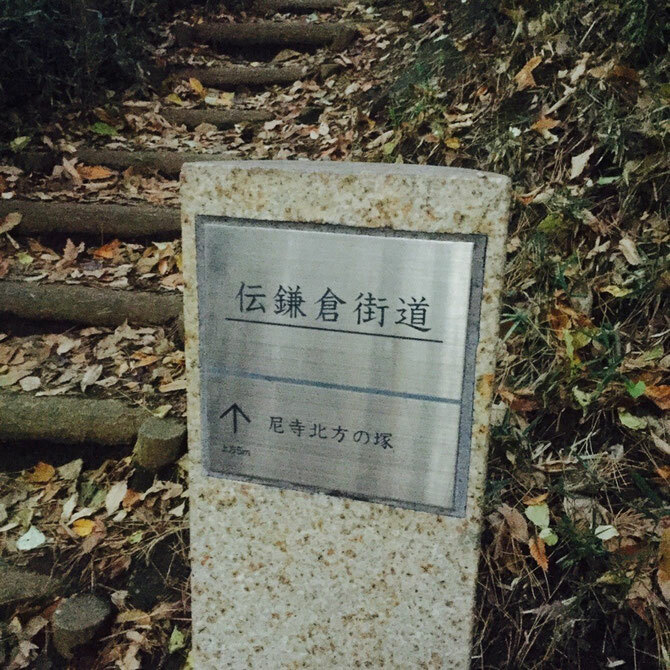 in Kyoto ??? 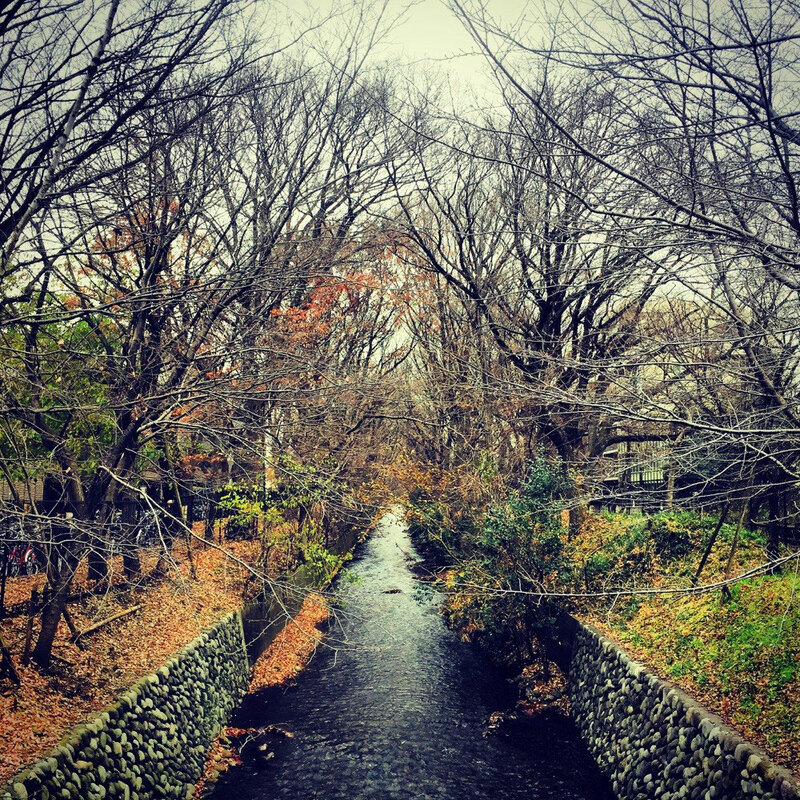 no, it's in Western Tokyo Tama area ! 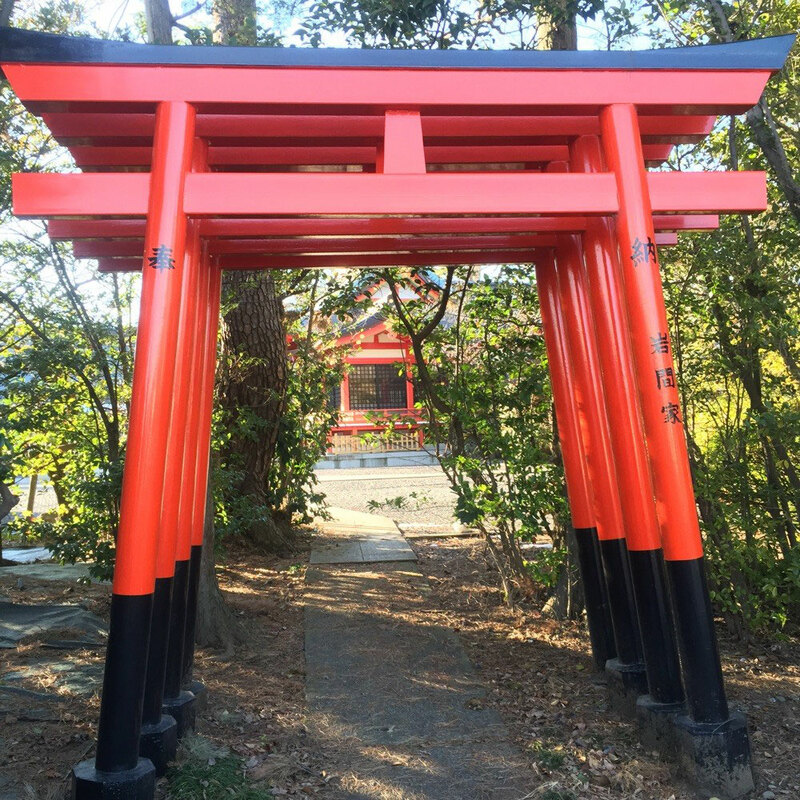 Higashifushimiinari Shrine is located at Nishitokyo city in Western Tokyo Tama area between Higashifushi station and Seibuyagisawa station of Seibu Shinjuku Line. 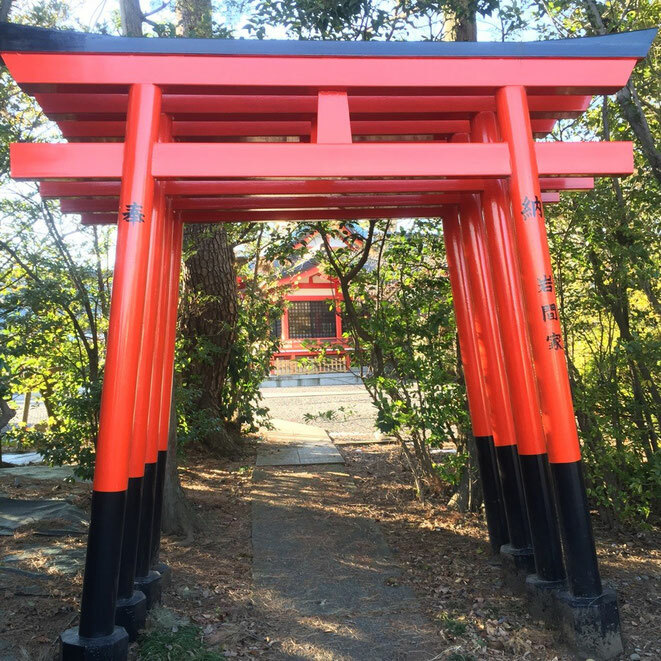 This shrine is officially related with Fushimiinariinari Shrine in Kyoto and why not you would visit this beautiful spot. 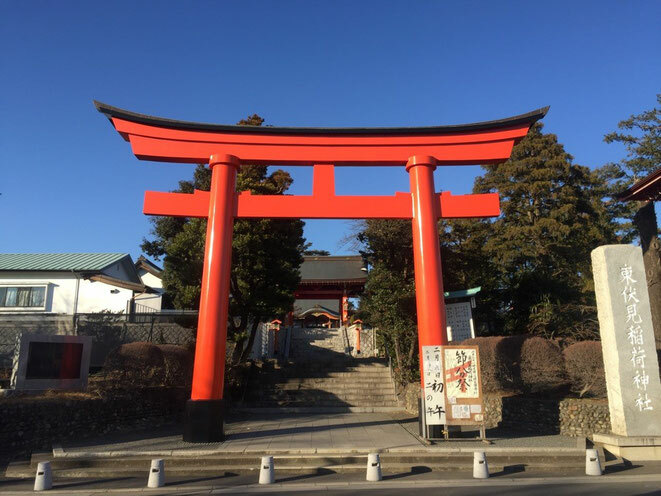 If you miss your visit Fushimiinari Shrine in Kyoto or you have already visited Fushimiinari Shrine in Kyoto, you would be interested in visiting this Inari Shrine in Tokyo area as well. Good luck for your visit and get your great memory ! 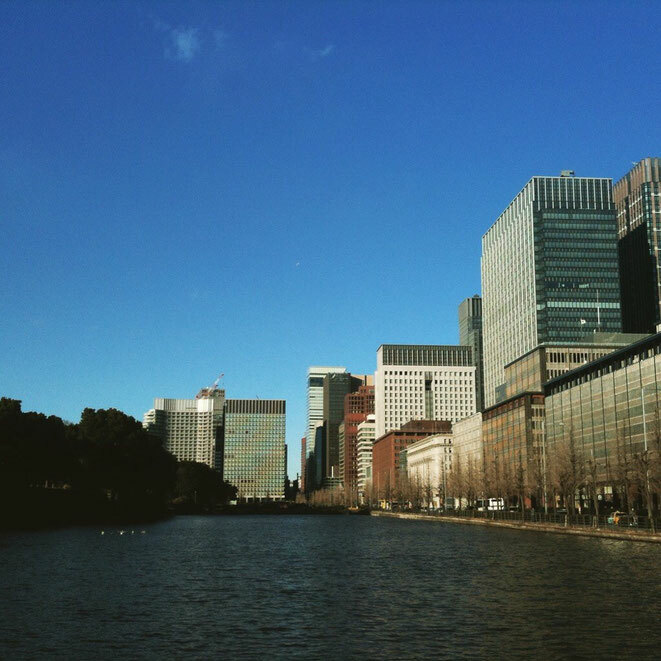 The 50th Ome Marathon race will be on 21st February 2016. 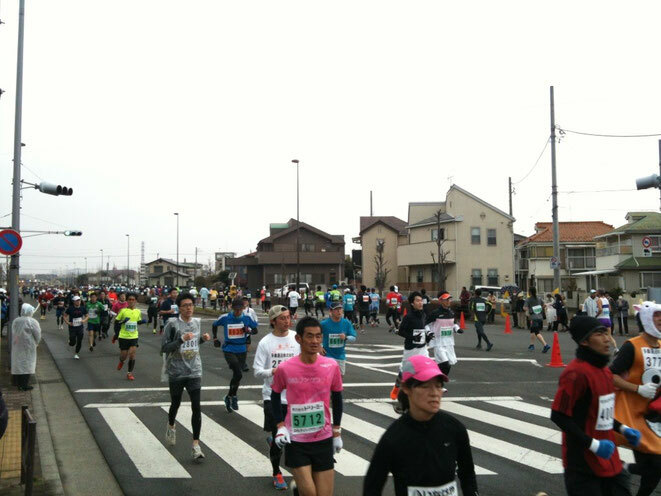 This race is actually a 30km running race however a lot of Japanese top athletes such as Naoko Takahashi and Mizuki Noguchi, two Gold Medalist of Olympics games participated this event before as training and practicing for the big title. 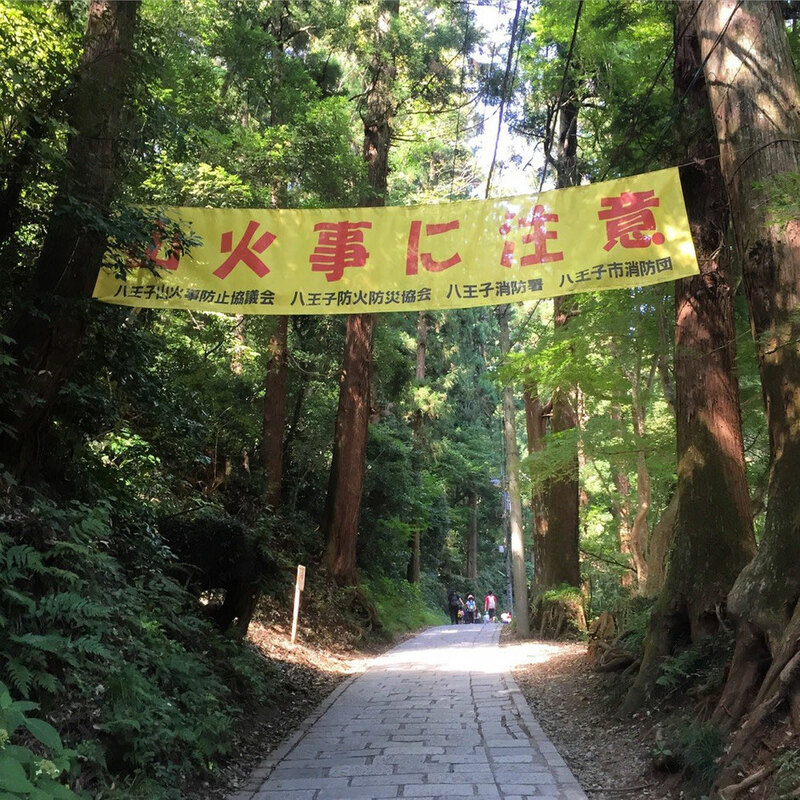 This year, it's a memorial race competition as 50th arranged race and many people will support this fantastic marathon race. If you will be around in Tokyo and Western Tokyo Tama area, don't miss this race with the athletes as the future Olympic medalist ! 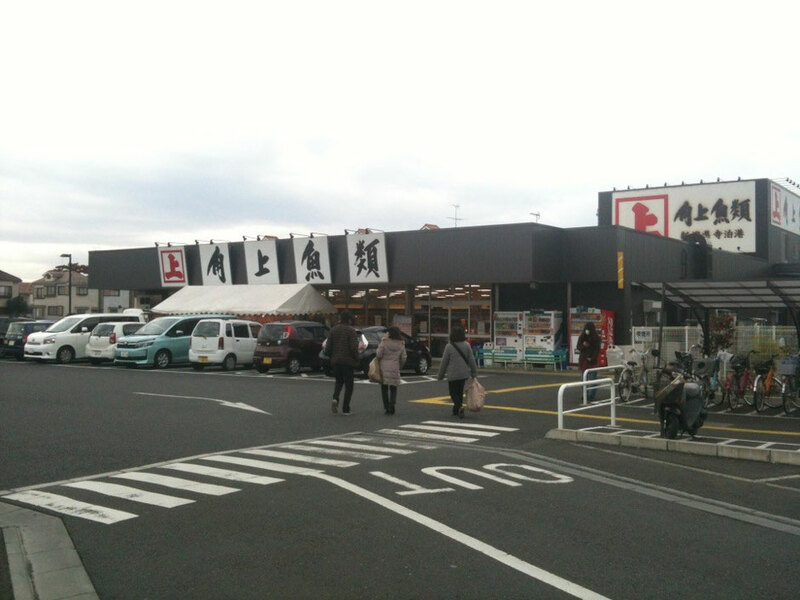 In Western Tokyo Kunitachi city, Kuraya shop is one of the most famous shops in this community. Before, it was a shop of small stationary and some soft snacks however now you would be able to get tasting of local Japanese rice bowls and Chinese dumplings. This shop is the hidden attractive spot and we hope that your would be able to discover it and feel the local interesting. 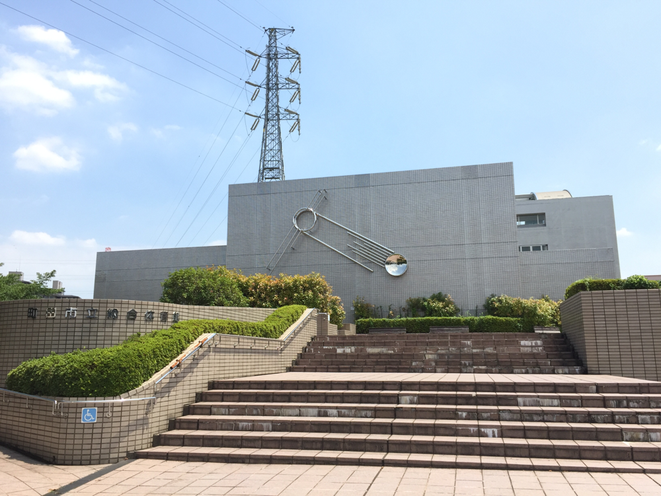 Today, one of the Japanese Major TV companies, TV Tokyo has featured this spot so it would be more interested for the market. 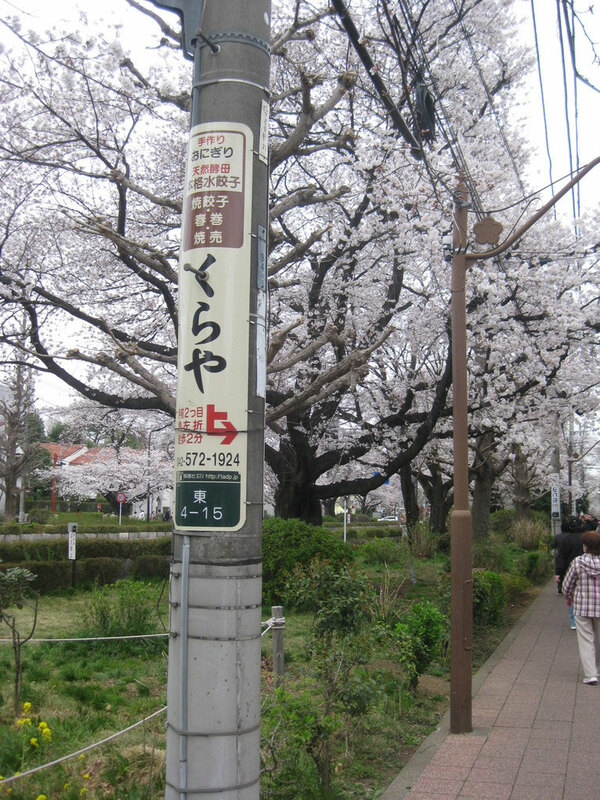 Located near Kunitachi High School from Kunitachi station of JR Chuo Line or from Yaho station of JR Nambu Line. 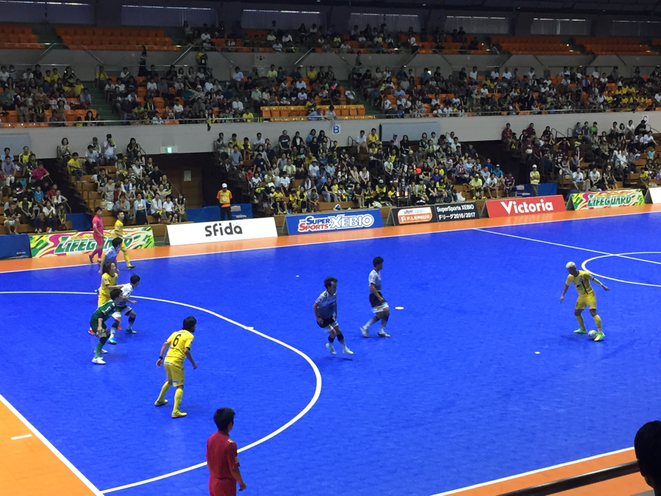 The final tournament of Asian football for the qualification of Olympic Games in Brasil 2016 is held now in Qatar. 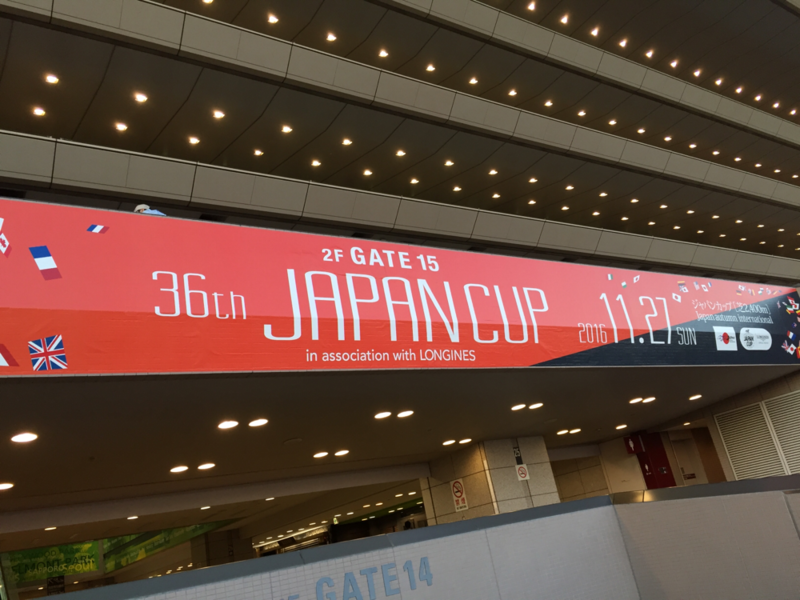 Not only for the people in Weatern Tokyo Tama area but also in Japan support the Young Japanese Football team for this final competition. Allez les bleus du Japon ! 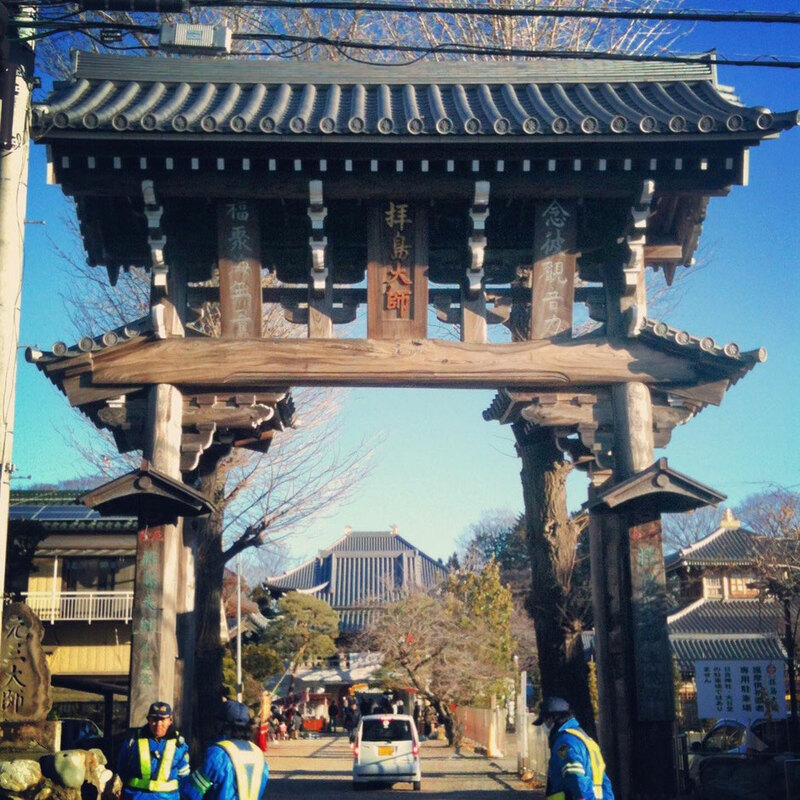 On the second Monday in January each year, it's our public holiday as "Coming of Age Ceremony". They celebrate with the old schoolmates in each born local communities. 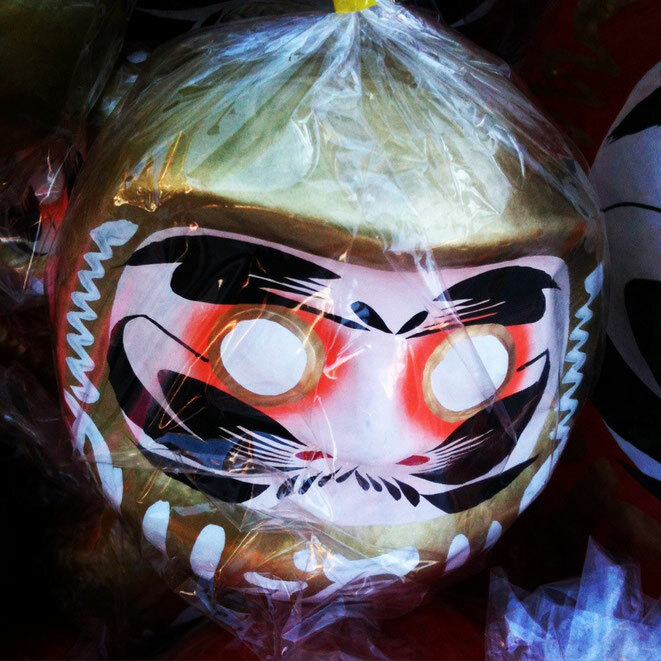 Get your Good Luck at Tokyo Ome ! 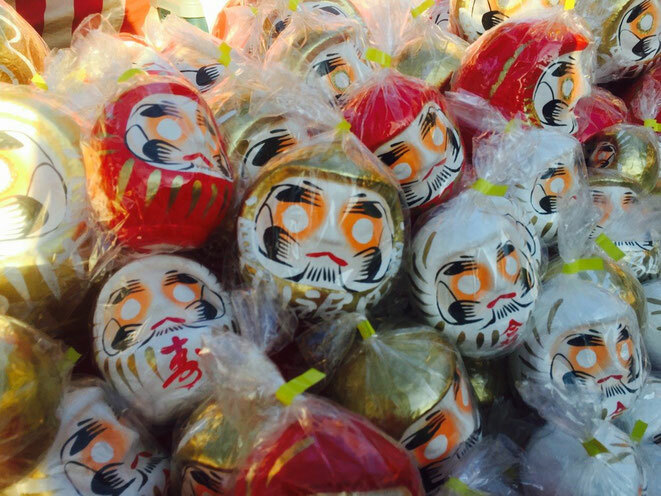 Don't worry about your fortune with Japanese Dharma Dolls in Tokyo Tama area ! 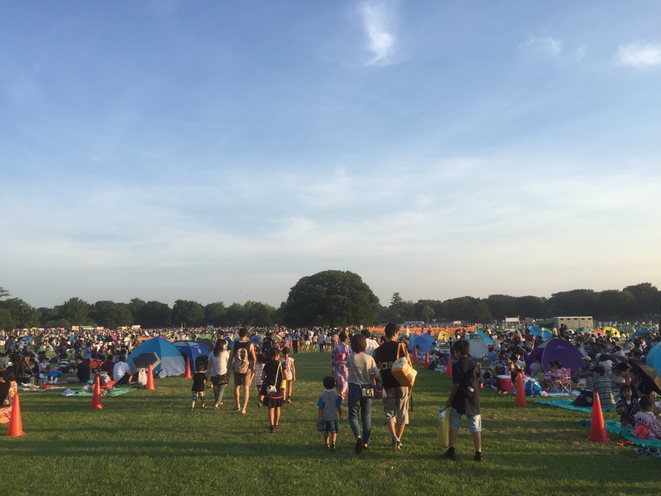 The first festival with Dharma Dolls is at Akishima city on the 2nd and the 3rd January 2016, however another Dharma Doll festival event will be held in Tokyo Ome city on the 12th January 2016. Dharma Dolls would be one of your best souvenirs when you are staying at Western Tokyo Tama area, so let's visit and get your favorite doll for your great fortunes ! 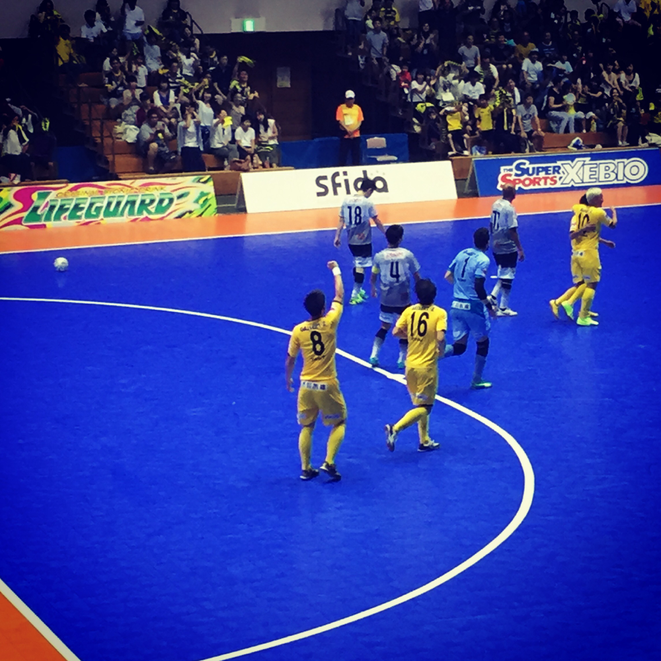 Tokyo Fuchu city is known as one of the hottest cities for Futsal sport in Tokyo. There is a professional futsal team of Fuchu Athletic FC and at this team's home ground, Fuchu Municipal Gymnasium, the 30th Fuchu Futsal Tournament competition will be held on the 9th, 10th, and 11th January 2016. From the kids to the elders, many people join this event and it would be interesting to watch the players. 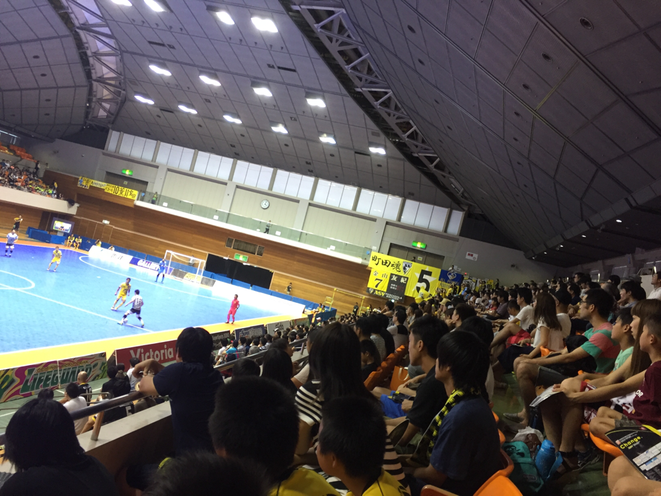 If you are interested in soccer, football, and futsal, let's enjoy watching the games as free entrance. A happy new year 2016 ! 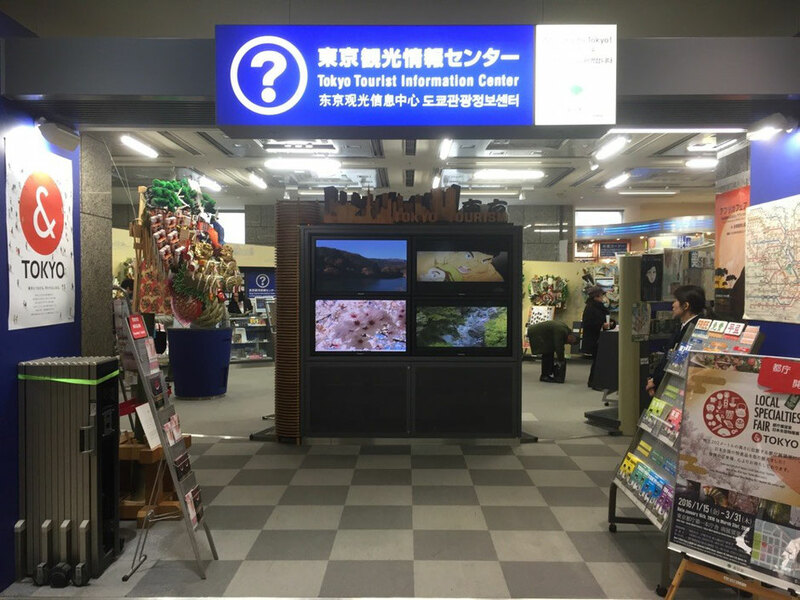 TAMA Tourism Promotion have started the activity in 2016 and try to keep promoting and introducing the attractions in this area. Would appreciated your kind assistance as always ! 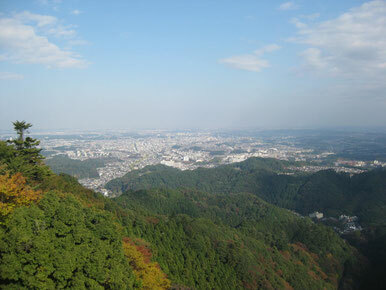 Hope that you would be more interested in Western Tokyo Tama area for your future visit Japan. 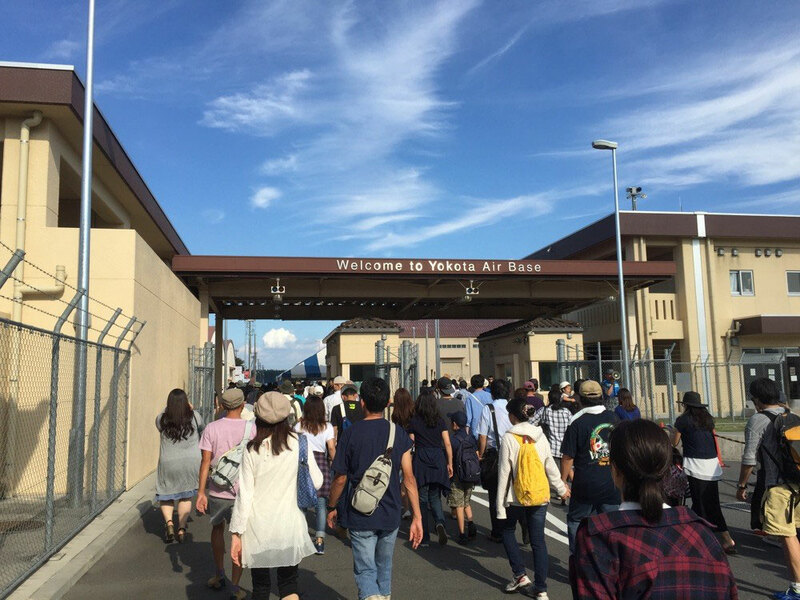 Welcome to Tama with our great pleasure ! Today is the end of the year 2015 and TAMA Tourism Promotion wish your wonderful time during this festive seasaon. 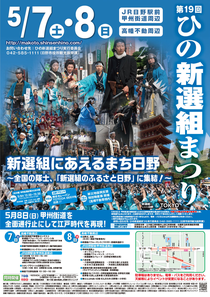 Photo is the official tourism mascot of Tokyo Higashiyamato city. 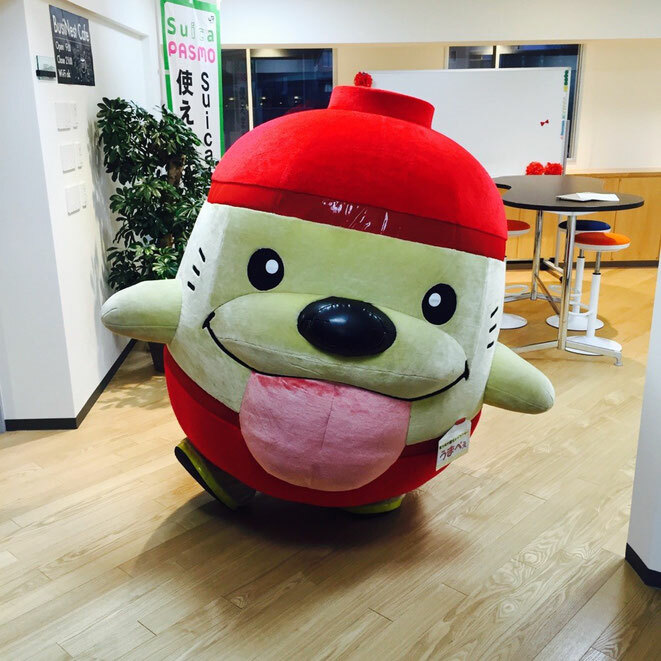 If you visit Higashiyamato, please find the related mascot items ! 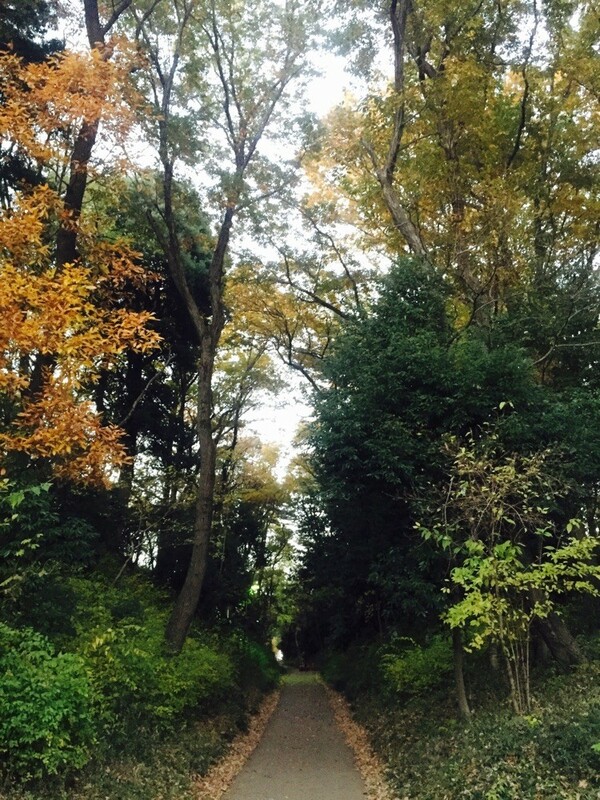 Hakone Ekiden Relay Running Course will be held in three days, on the 2nd & 3rd January 2016 ! 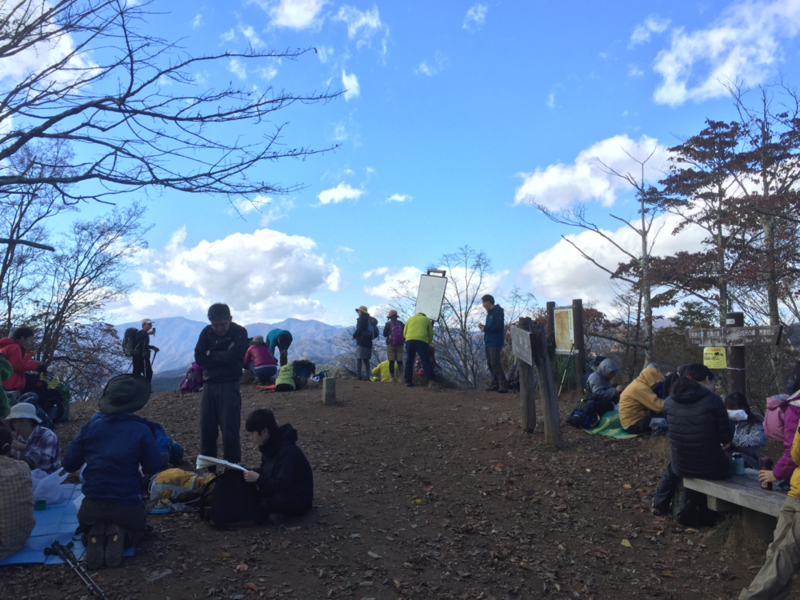 This sport event is the final competition of Relay marathon race between Tokyo and Hakone by University students among Kanto-Tokyo region and only 20 university teams can join the race. 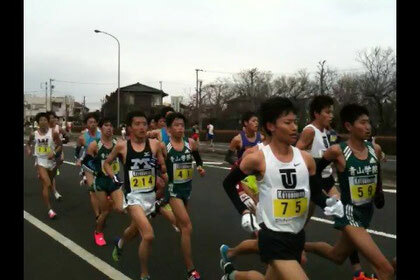 This event is one of the most famous new year sports and Japanese people are watching the live TV or going to cheering the student runners so let's enjoy your watching the runners if you are in Tokyo or Kanagawa area during new year period. 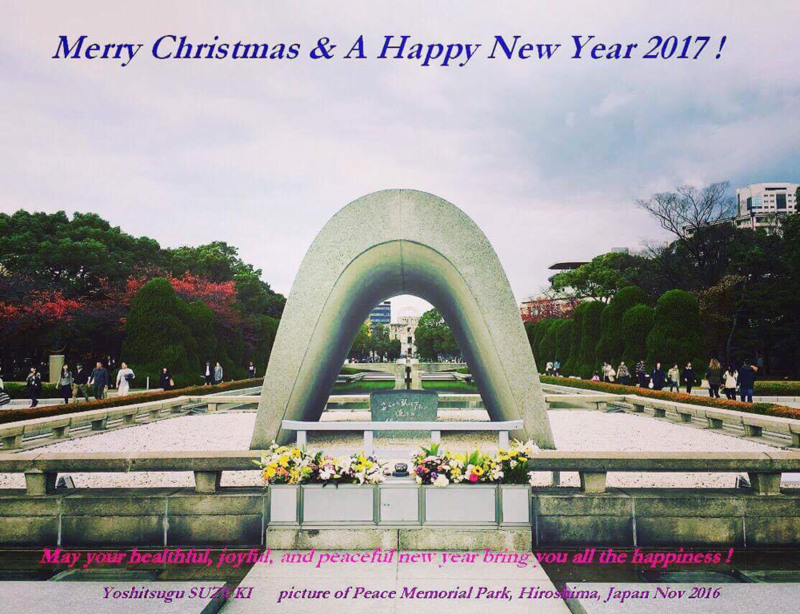 Merry Christmas from Western Tokyo Tama on behalf of TAMA Tourism Promotion ! 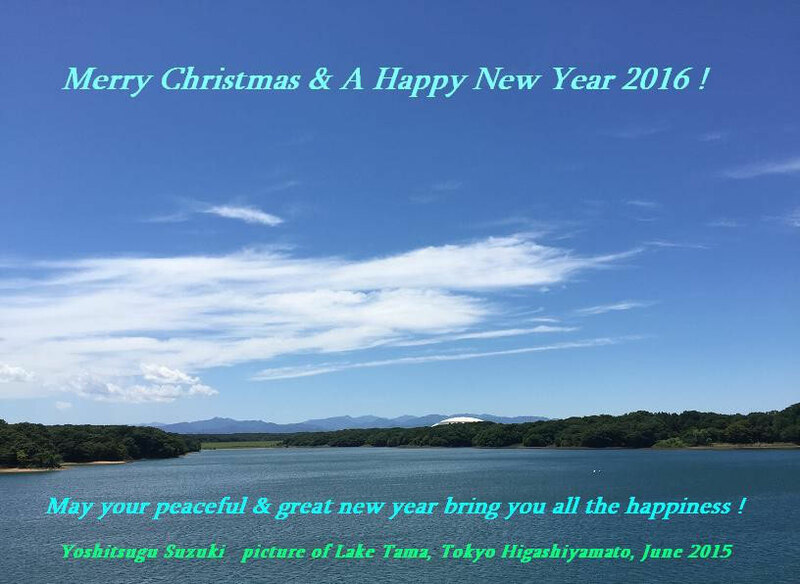 Wish your Christmas and hope that you would have a wonderful time during this festive season ! 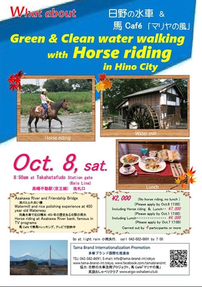 Also we hope that you would visit and enjoy your stay at Western Tokyo Tama Area. 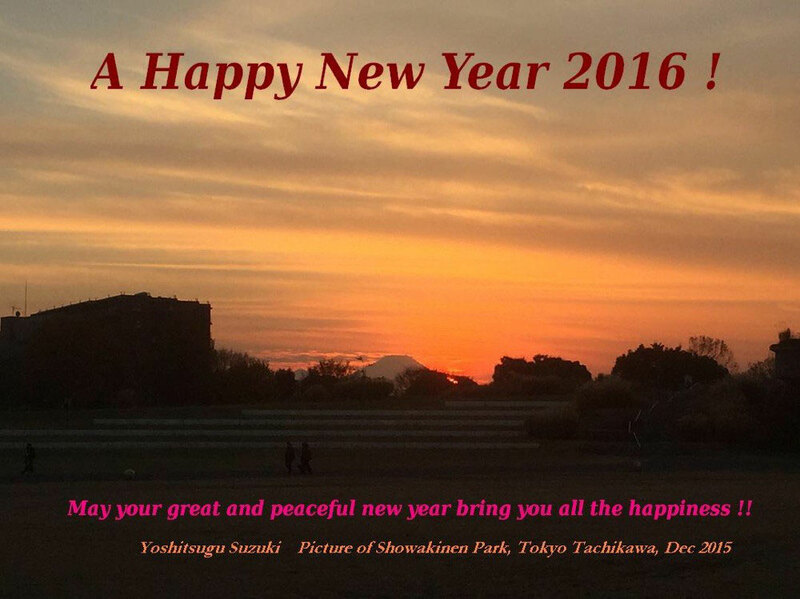 All the best for your great future ! You would be able to get a chance to see winter fireworks in Tokyo Tachikawa. At Showakinen Park, there is a winter event with winter illumination from the 5th till 27th December 2015 and also, on the 24th and 25th December, there is a special event with winter fireworks at the park. The around 300 fireworks event is held from 8:10pm to 8:15pm only, don't miss this fantastic moment if you would be around Tachikawa and Western Tokyo Tama area ! 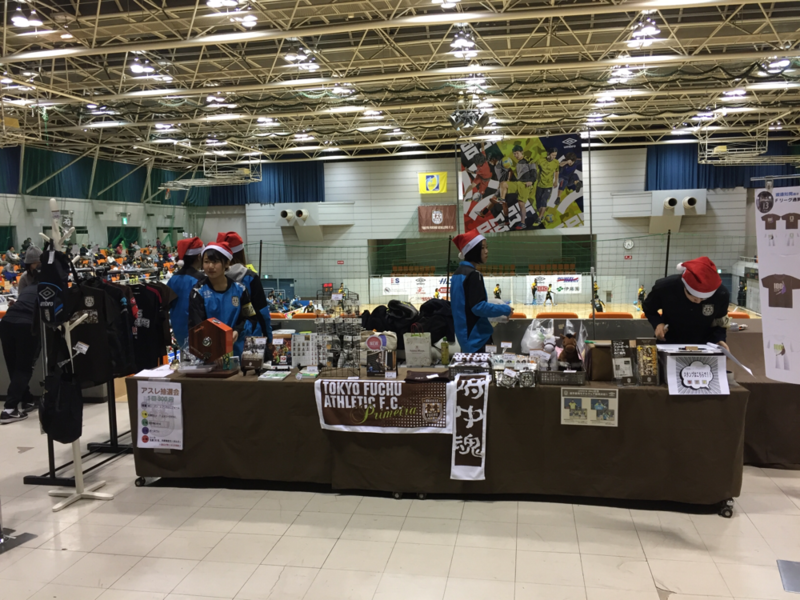 Let's enjoy the Tama's winter event ! 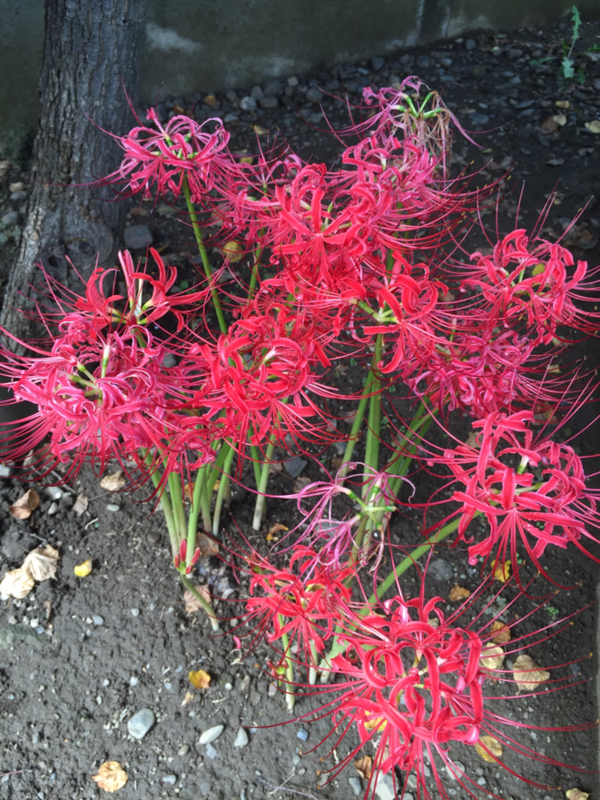 On the 23rd December is our public holiday as the birthday of Emperor in Japan. It's 82 years old of the current Japanese Emperor and it's 27 years old of the current Emperor of Heisei period in Japan. 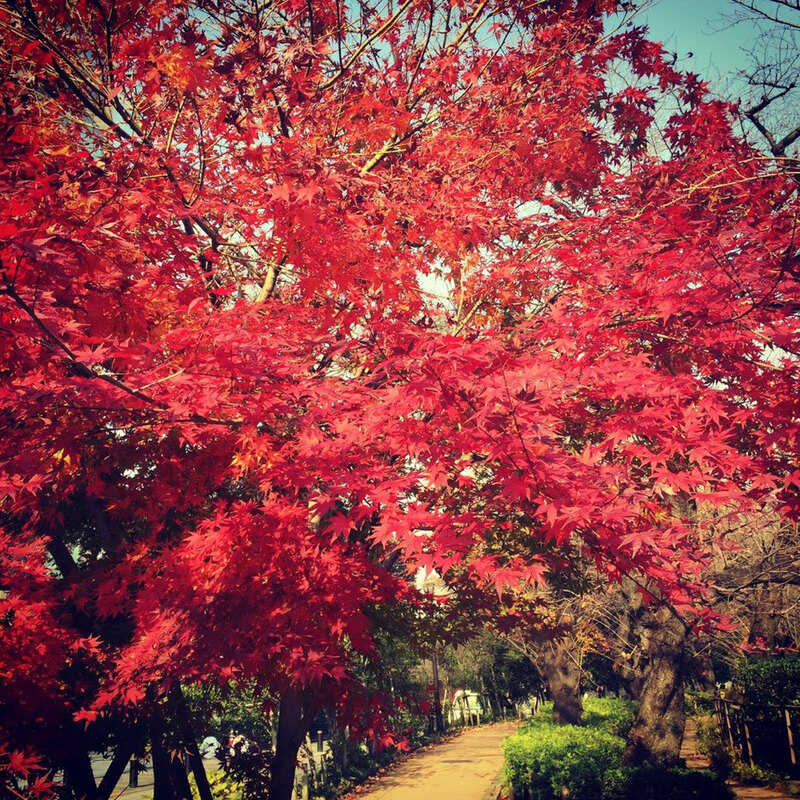 At the Imperial Palace in the central Tokyo, there is a celemony with Japanese Royal Famlily at the palace and if you are interensted in the World Royal Familys, don't miss this precious event ! 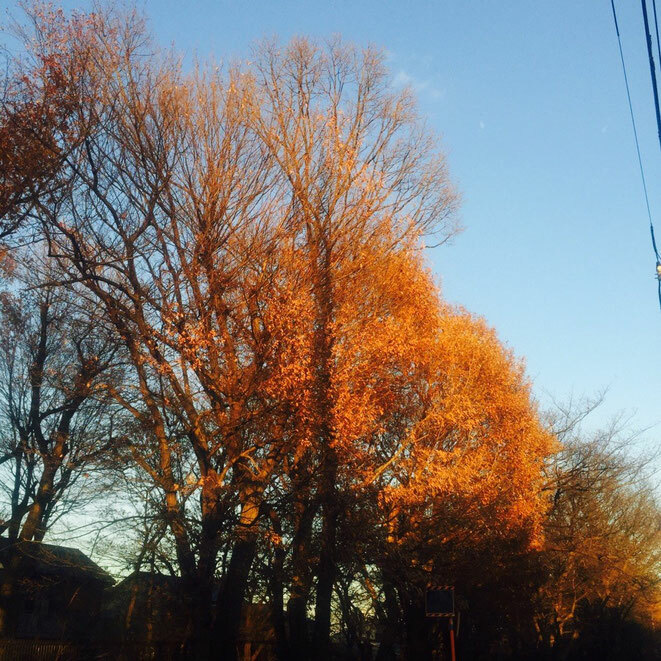 As you may know, the 22nd Decemver 2015 is the day of Winter Solstice in Northern Hemisphere. 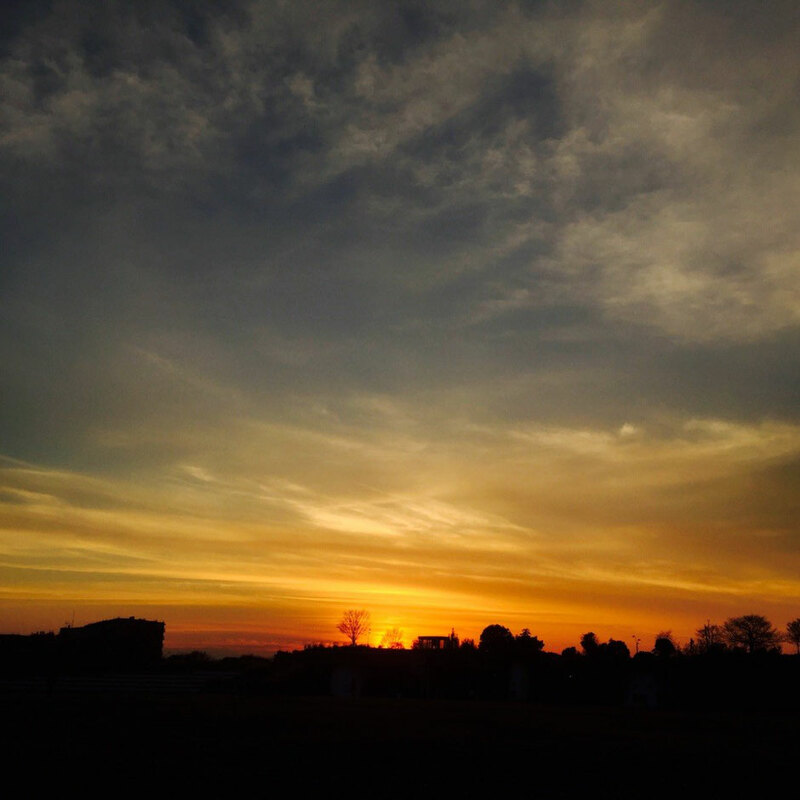 The daytime will be more than more again from this shortest daytime day to the Summer Solstice in June. 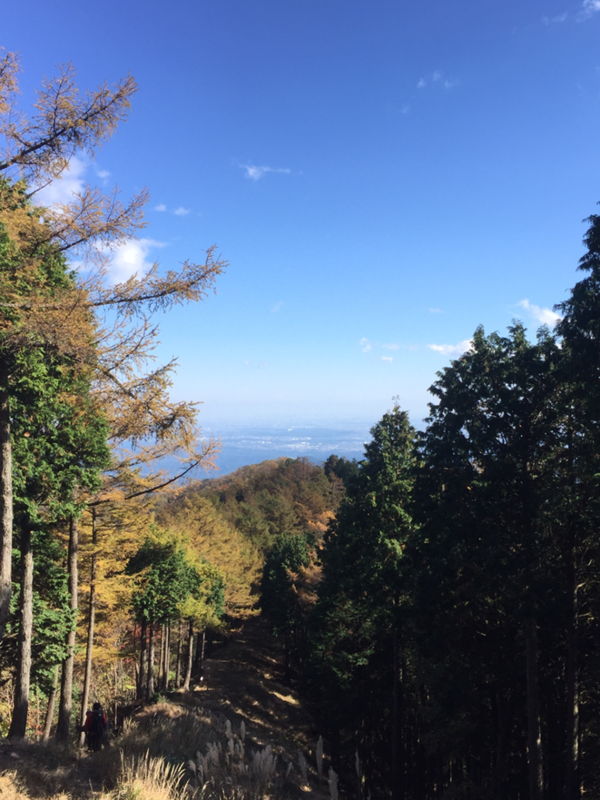 In Japan, as cultural way, we prepare the hot bath with Yuzu small citron and we eat pumpkin to keep our health so if you are in Japan at this day, please try to have a local cultural experiences for your great memory ! 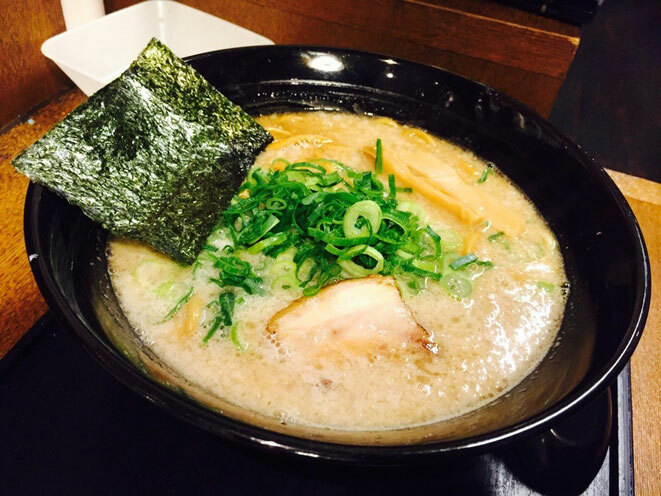 In the end of the year, it is one of the most popular periods for eating Ramen noodle soup in Japan ! Japanese people are arranging the year end party with colleagues, company staffs, friends, and family, and then after the party, we go to eat Ramen noodle as the last part of the moment. 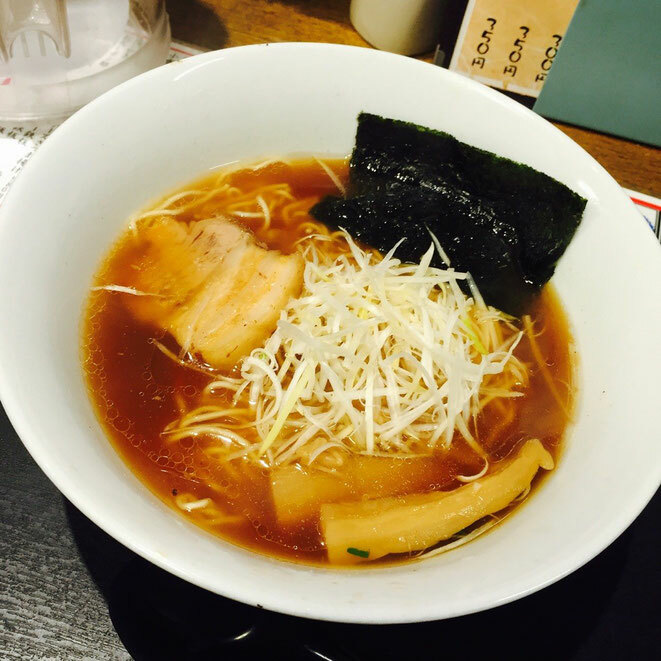 There are many kind of soups and you would try to find your favorite taste when you are in Japan ! 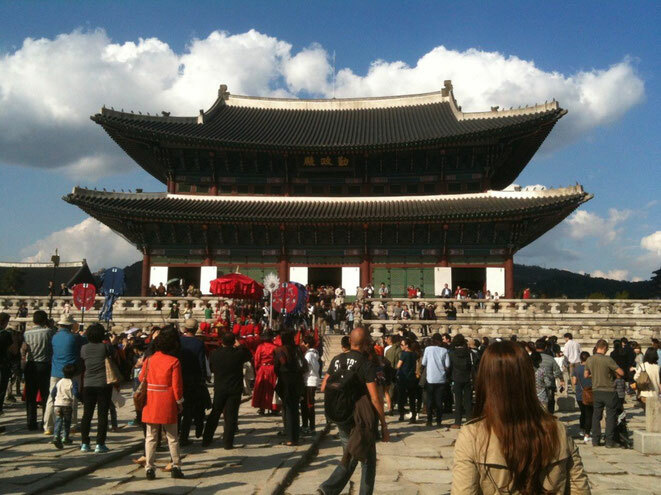 Do you know this hot spot ? 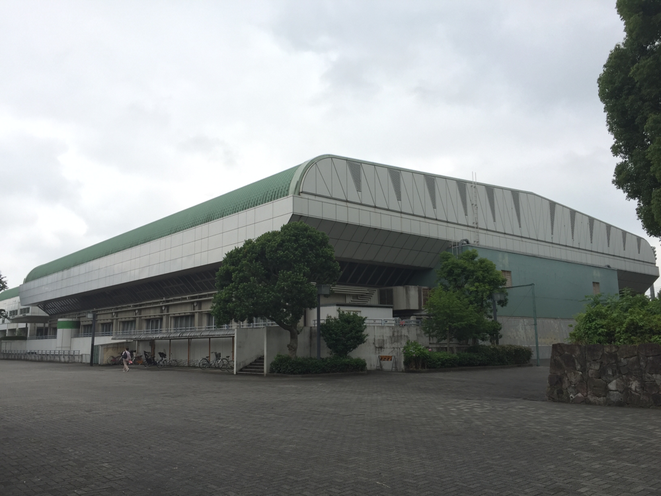 This is Tachikawa Velodrome of Keirin race place located in Tokyo Tachikawa city. There are only two Velodromes in Western Tokyo Tama area, Chofu and Tachikawa. 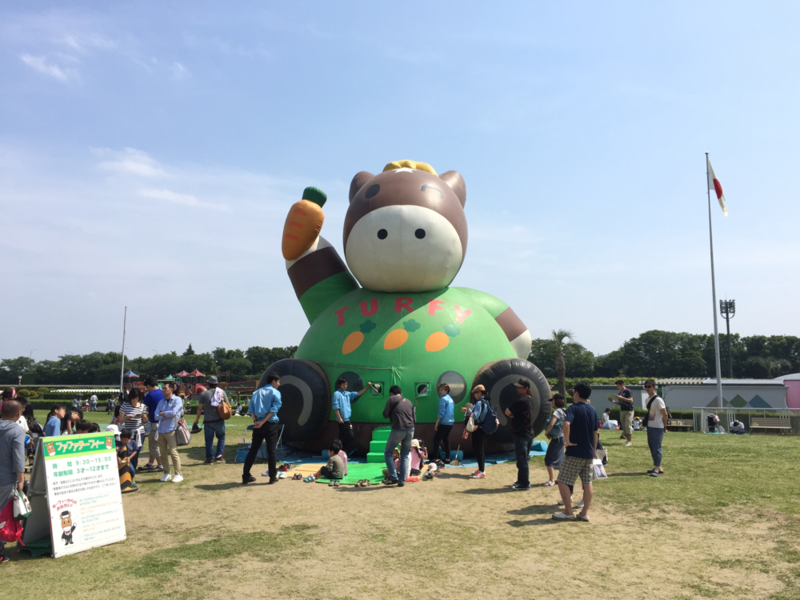 As one of the Olympic games, Keirin is more than more popular and you would be able to see the exciting moment. 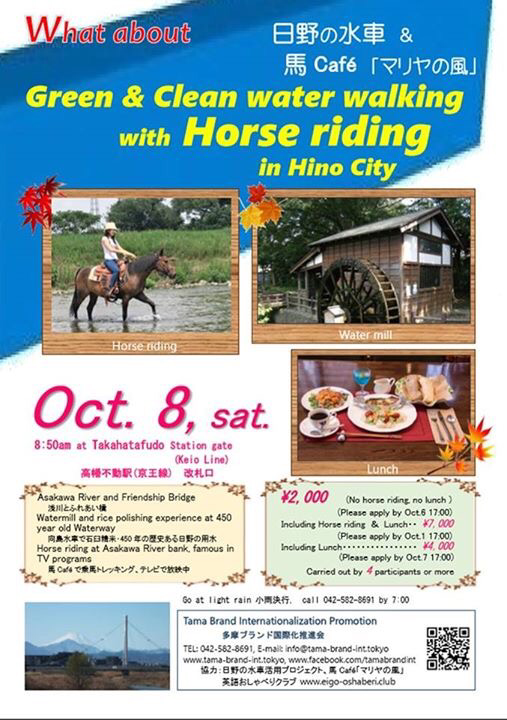 Entrance fee is just only 50 yen and you would have a fantastic moment by the hot races. 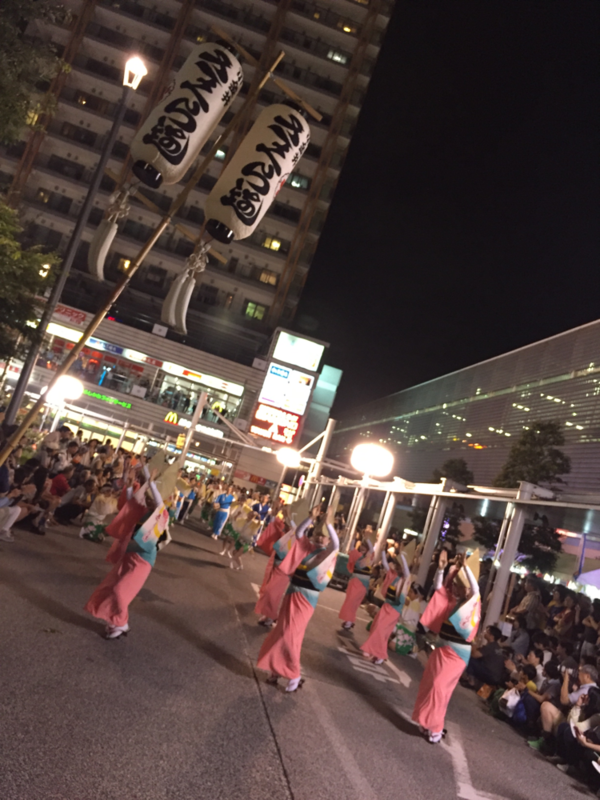 Since the games are not held everyday, please get more information when you would be around Tachikawa area. 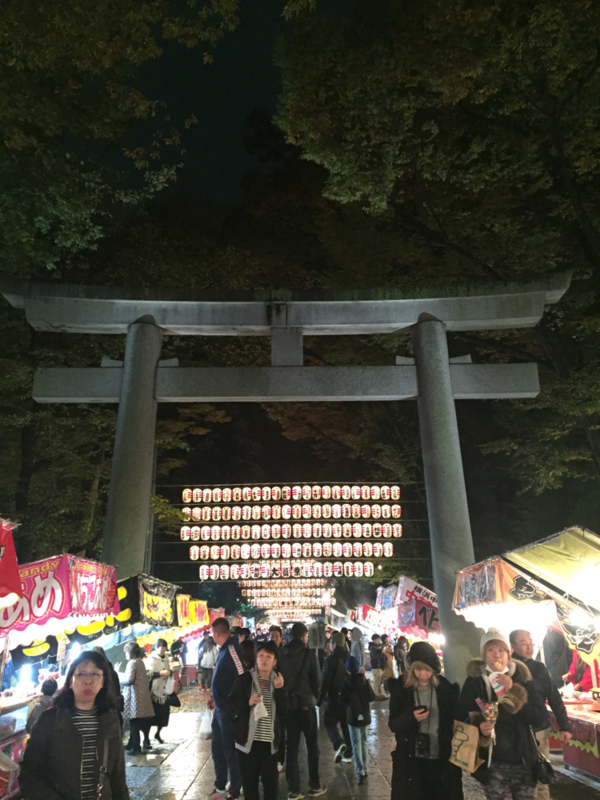 Would you like to take out your favorite Sashimi or Sushi for the party with your friends in Tokyo ? 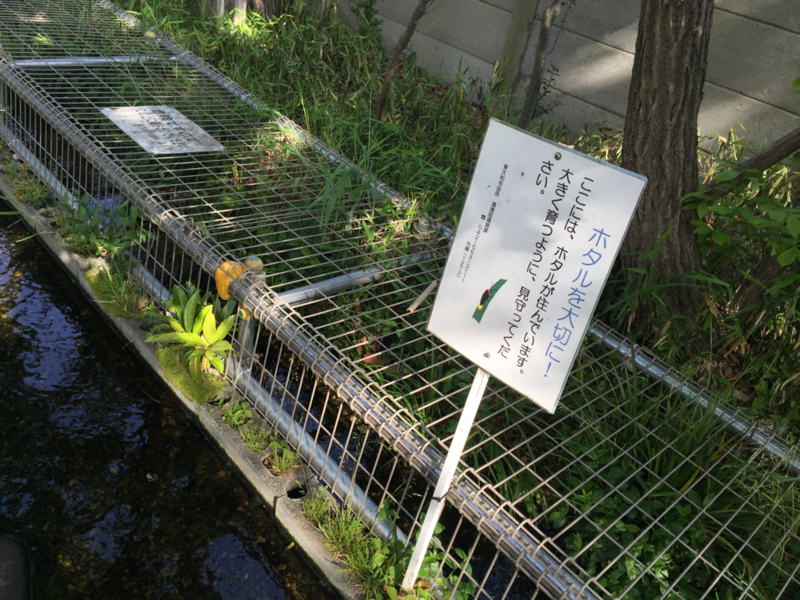 We would recommend Kakujoe Gyorui Fishing store to accommodate this request. 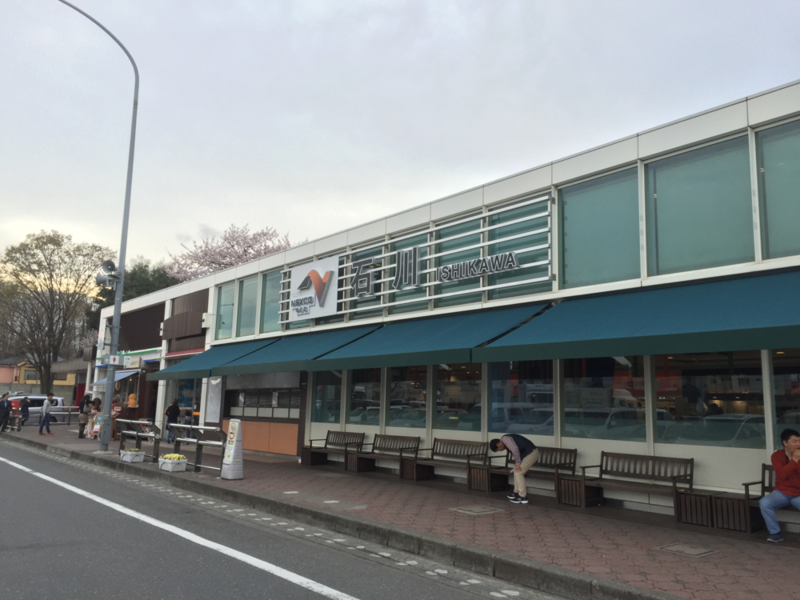 There are 2 stores in Western Tokyo Tama area, in Hino city and Kodaira city. The picture is at Hino branch store and you would find many kinds of fresh fishes, sashimis, and sushis there ! 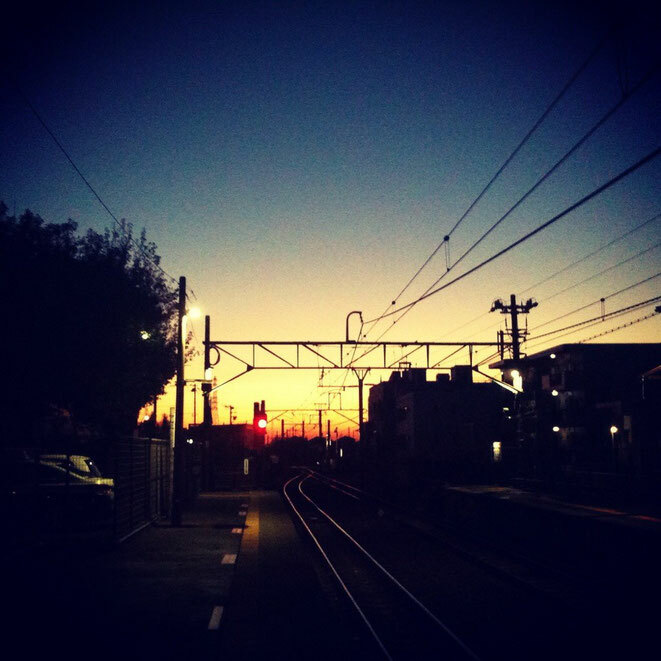 Since the store is located a little far from the train stations, you would be able to ask your friends to take them out ! 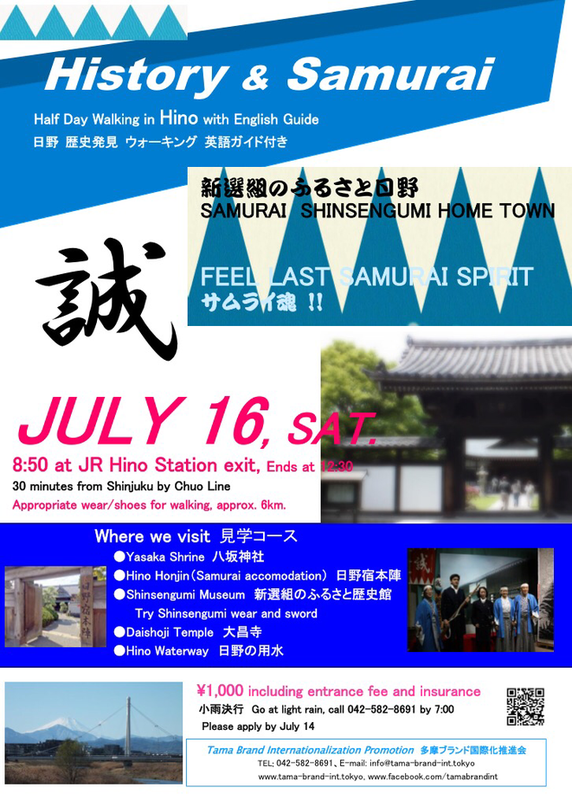 Please put this information for your future visit ! 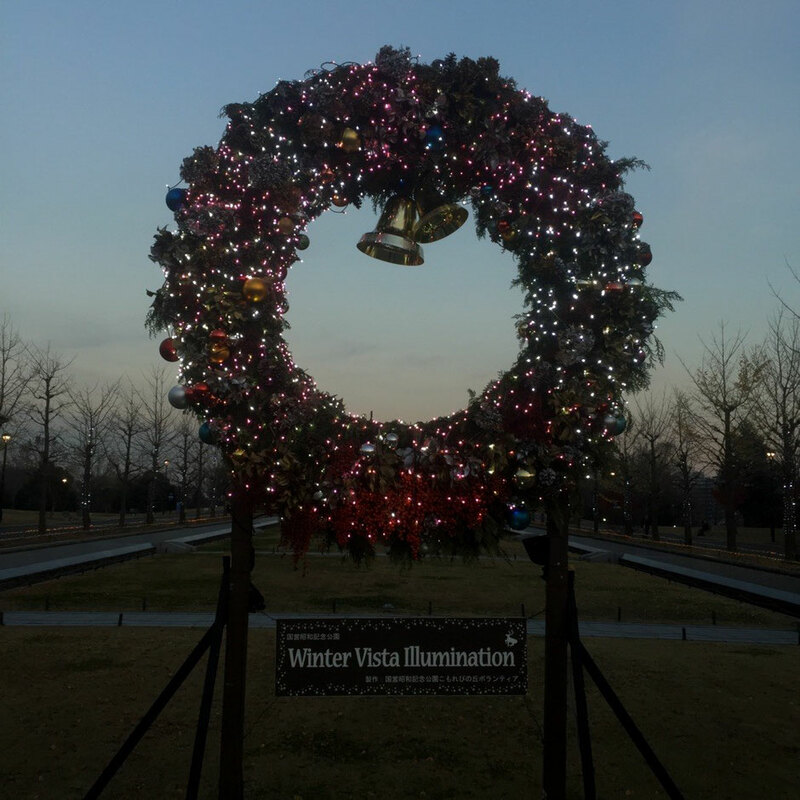 Winter Vista Illumination event at Showakinen Park in Tokyo Tachikawa city is now on season ! 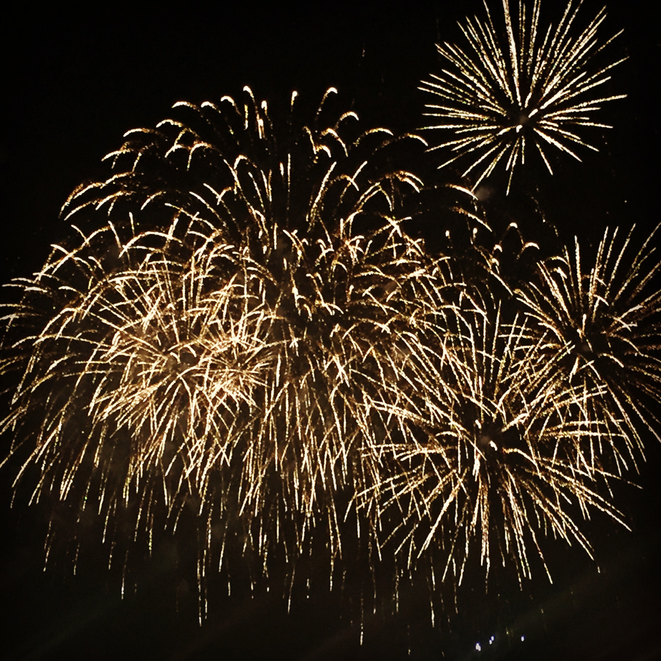 This winter event is held until 27th December 2015 and there would be fireworks on 24th and 25th only. 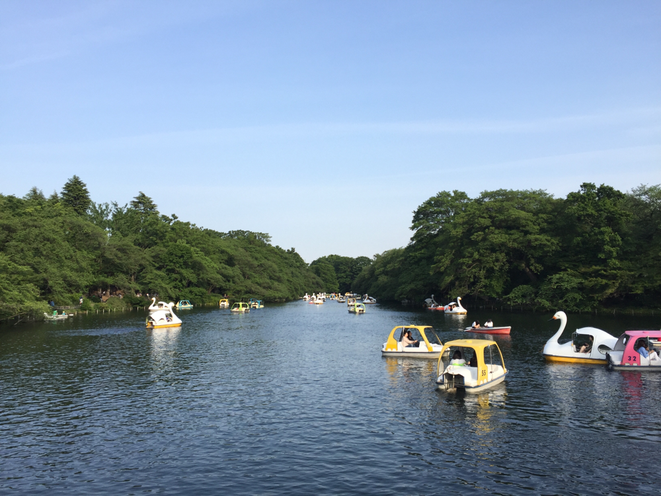 Pictures were taken at the entrance of the park only, so if you are staying at Tokyo or Western Tokyo Tama area, don't miss this wonderful place and let's take your great pictures ! 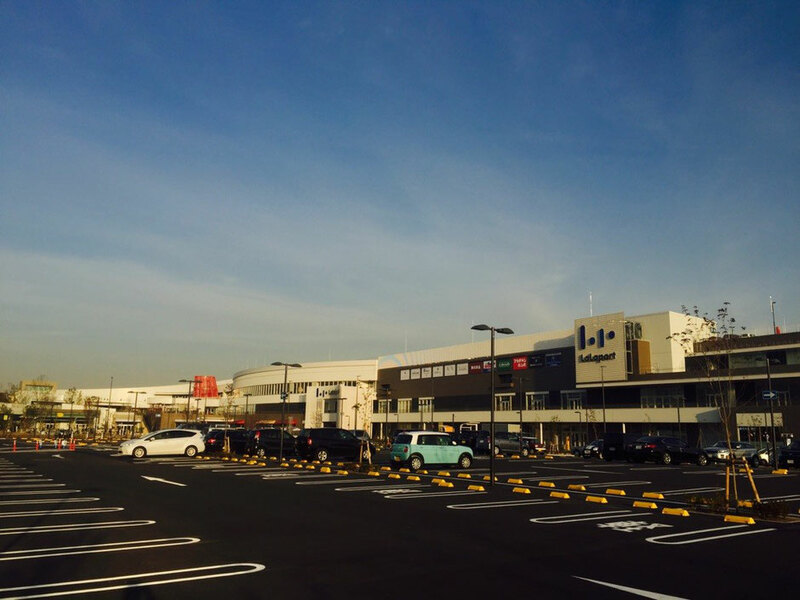 Lalaport Tachikawa Tachihi shopping mall will be opened finally ! 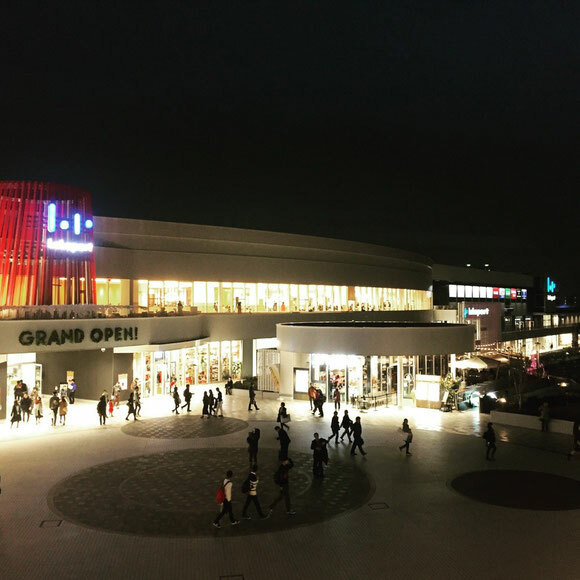 This mall is one of the largest shopping malls in Western Tokyo Tama area and the mall is opened on the 8th & 9th December as Pre-openning. 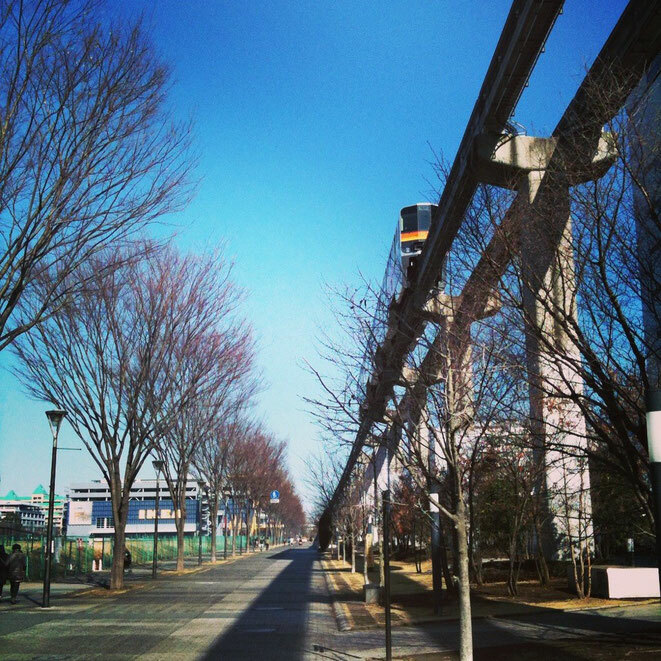 The Grand open will be on the 10th December and here will be one of the top attractions in Tachikawa city. 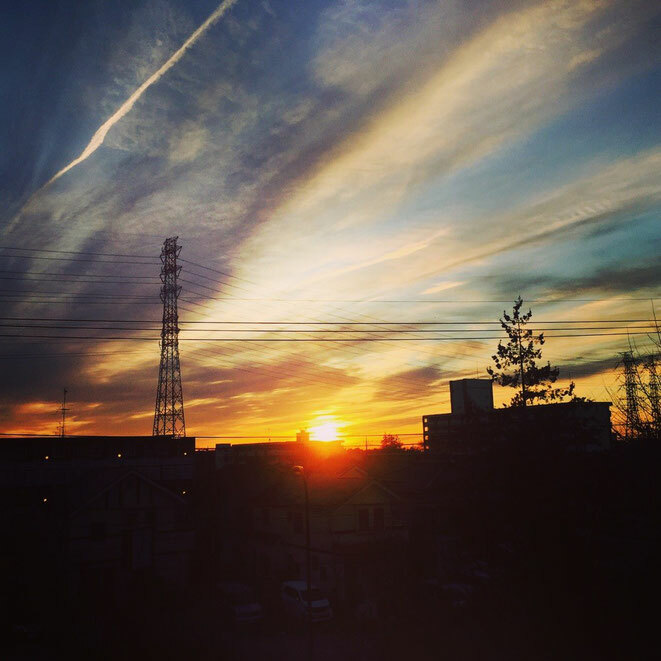 Tachikawa will be more comfortable for your visit and stay !